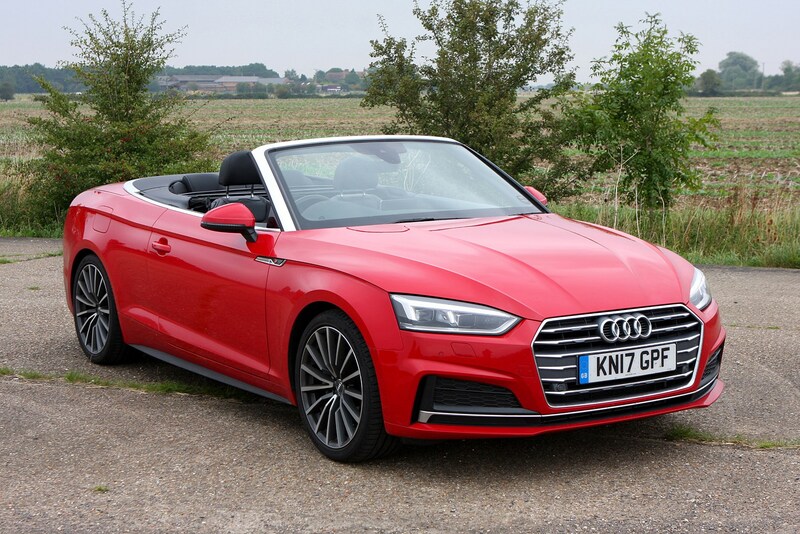 There’s a pair of diesel engines and two petrol engines to pick from on the A5 Cabriolet, with a further high-performance V6 petrol in the S5 Cabriolet. 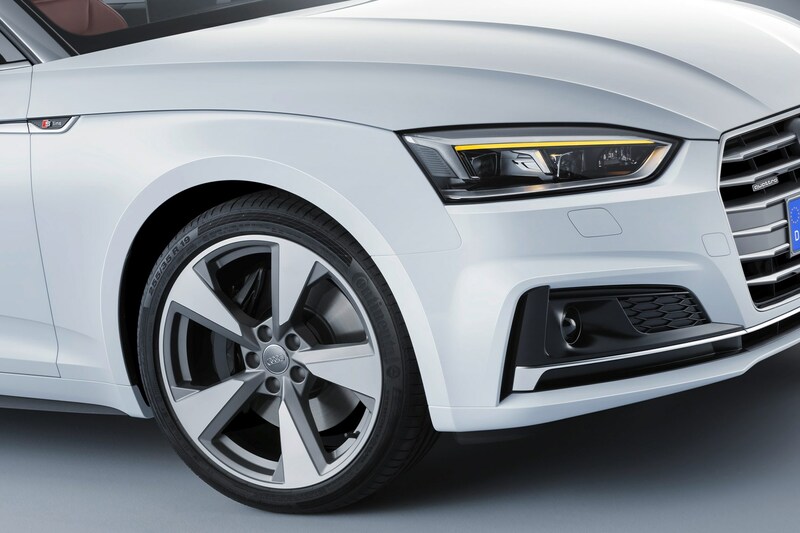 Each option has its advantages and in the main they’re all refined and perfectly fit for purpose – exactly what you’d expect from Audi. 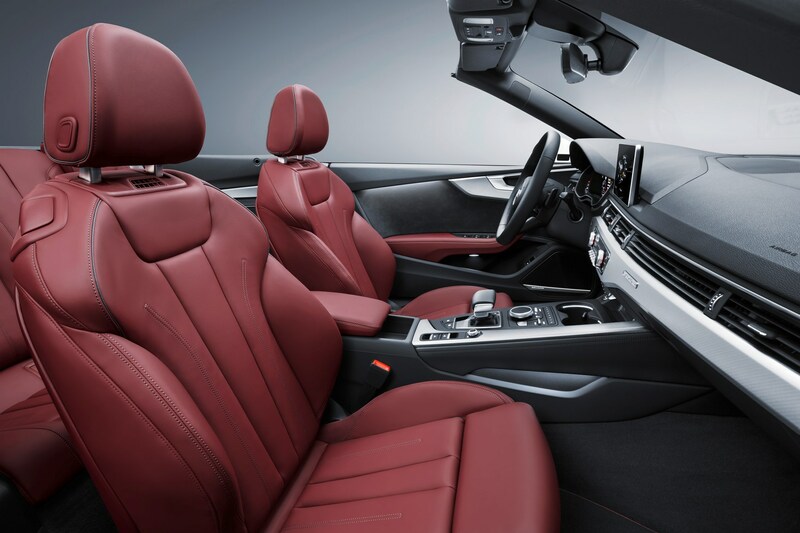 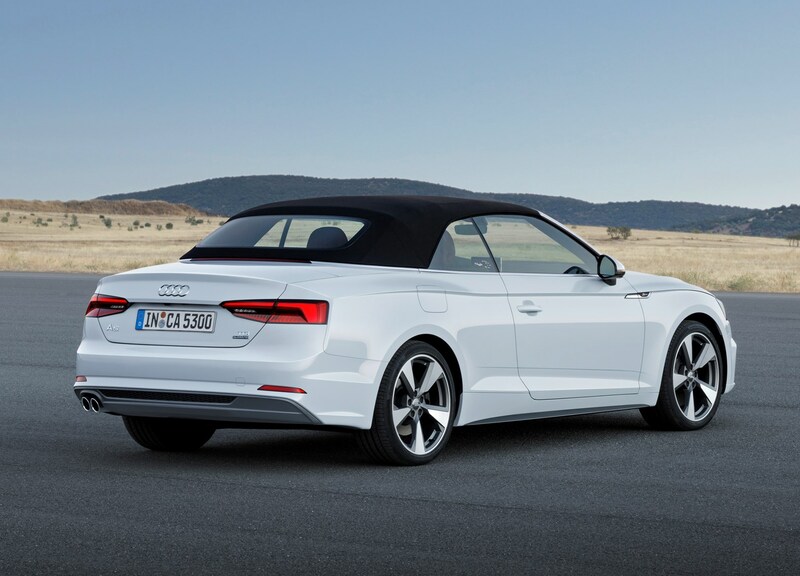 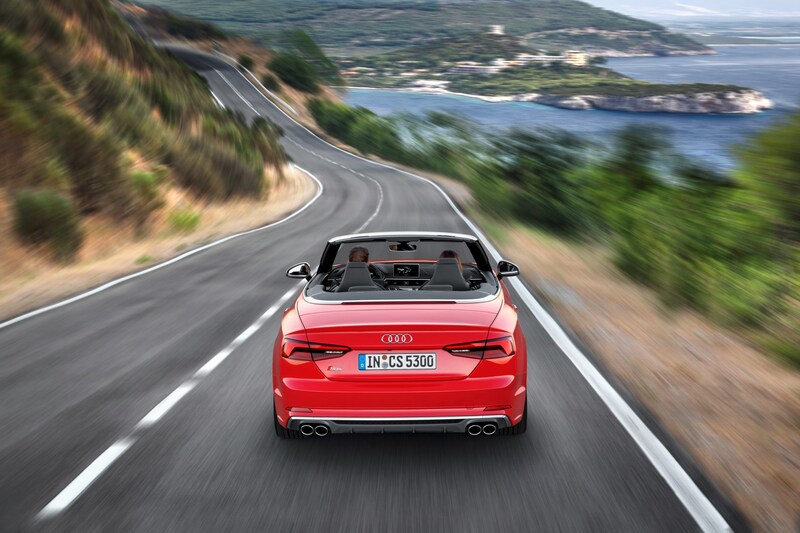 Two diesel engines are available in the A5 Cabriolet, which can be found elsewhere in the Audi range. 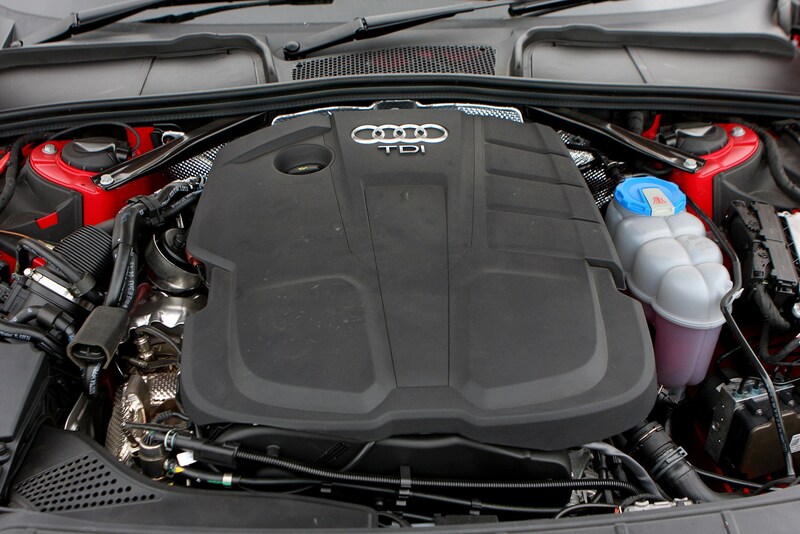 There’s a 2.0-litre TDI with 190hp and a generous 400Nm of torque. 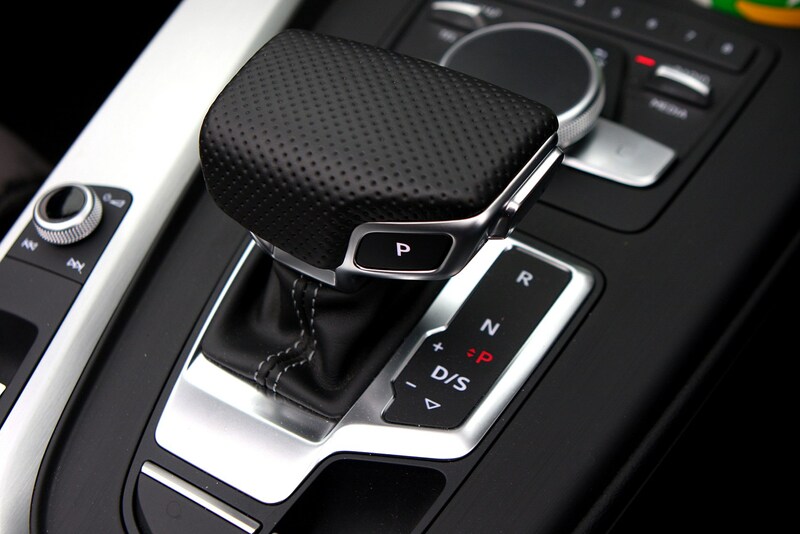 It comes exclusively with a seven-speed automatic S tronic gearbox. 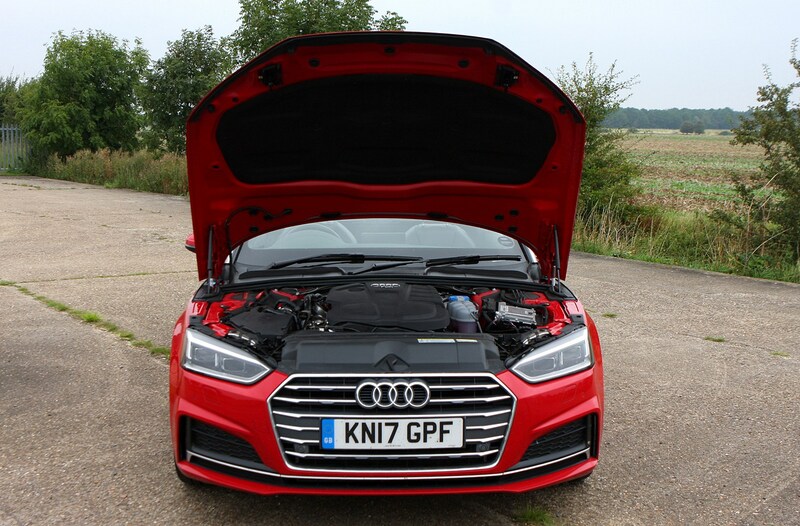 This engine is capable of powering the A5 from 0-62mph in 8.3 seconds and onto a top speed of 145mph, but if you opt for this engine with Quattro all-wheel drive, the 0-62mph sprint drops to 7.8 seconds. 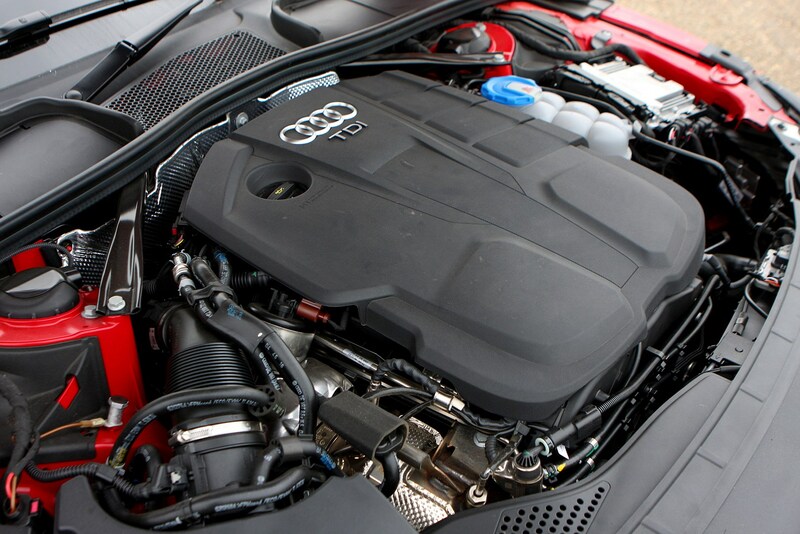 The A5 fitted with this engine feels very accomplished to drive. 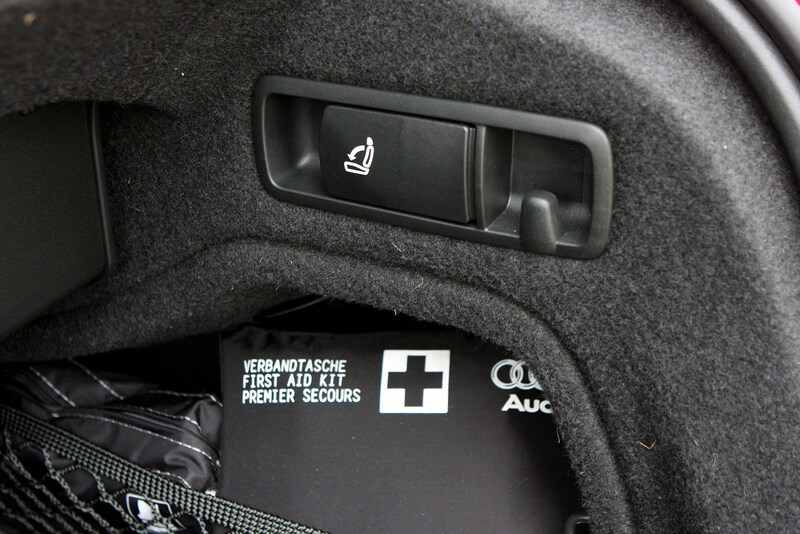 It helps that the gearbox always has the right gear to hand when you’re accelerating, which keeps the engine in its ideal power band, but the motor itself is also extremely smooth – and thanks to the incredibly well-insulated cabin, almost silent on the move – you’d struggle to recognise it’s a diesel in most situations. 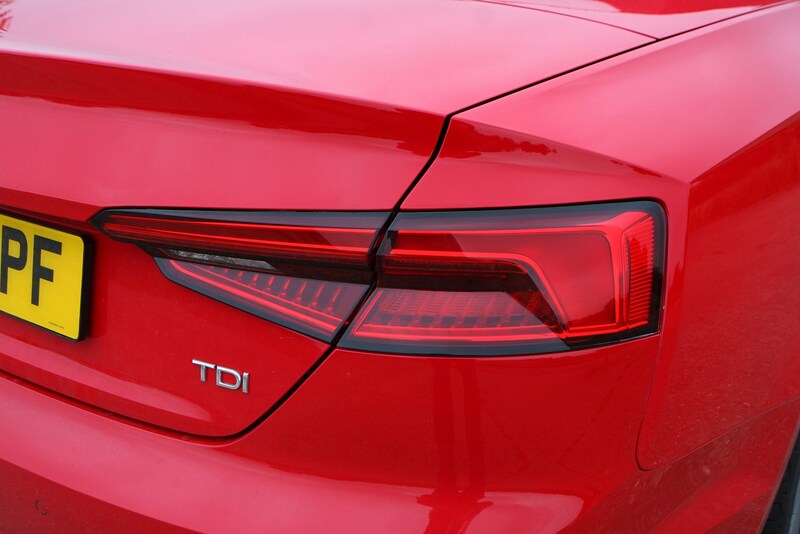 If you want a more powerful TDI, there’s a 3.0-litre V6 TDI pushing out 218hp and 400Nm of torque, and is capable completing the 0-62mph sprint in 6.8 seconds, and will go on to reach 149mph. 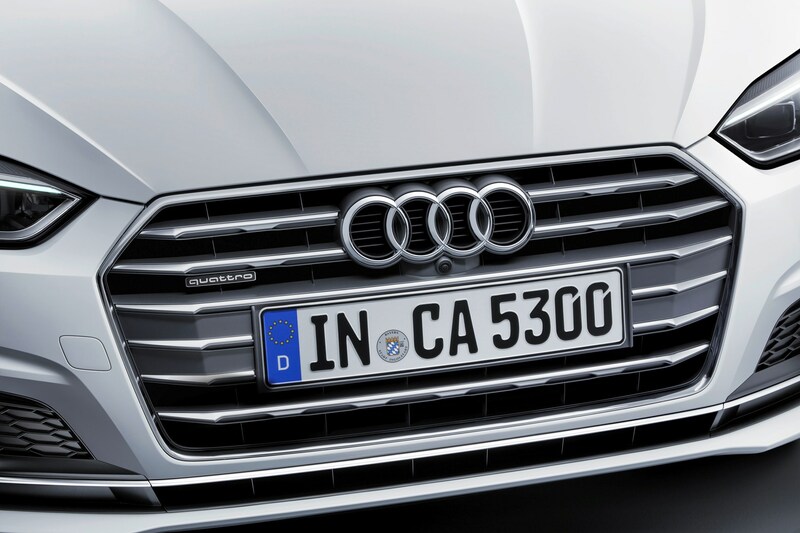 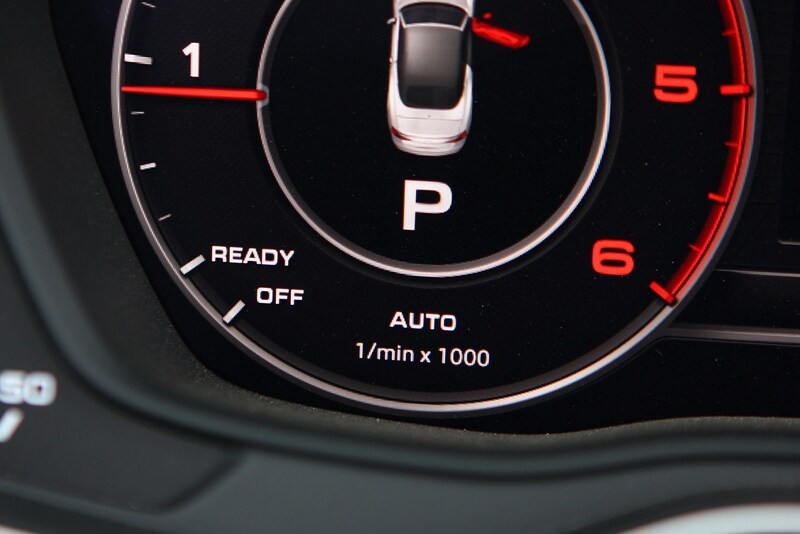 Like the 2.0 TDI, it comes with an automatic gearbox, but only with Quattro all-wheel drive. 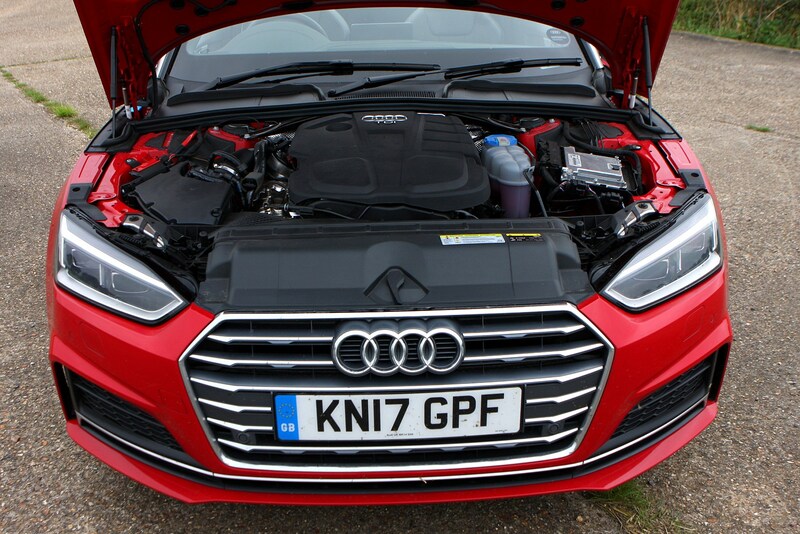 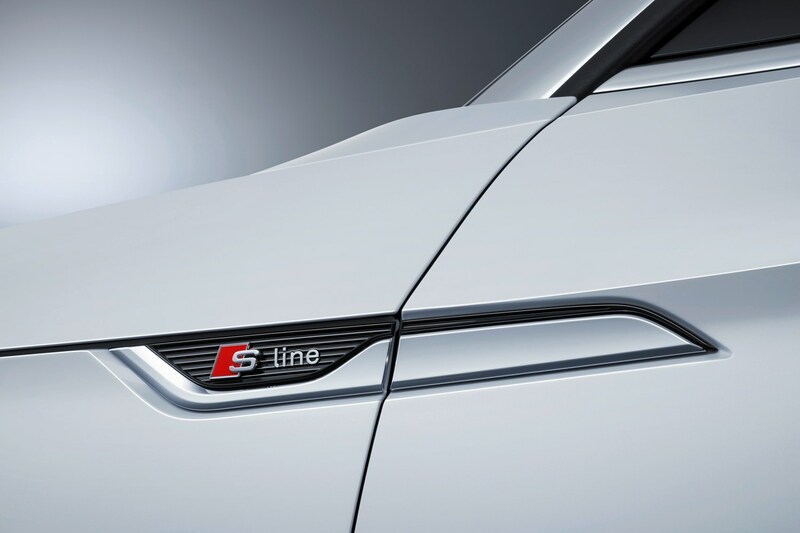 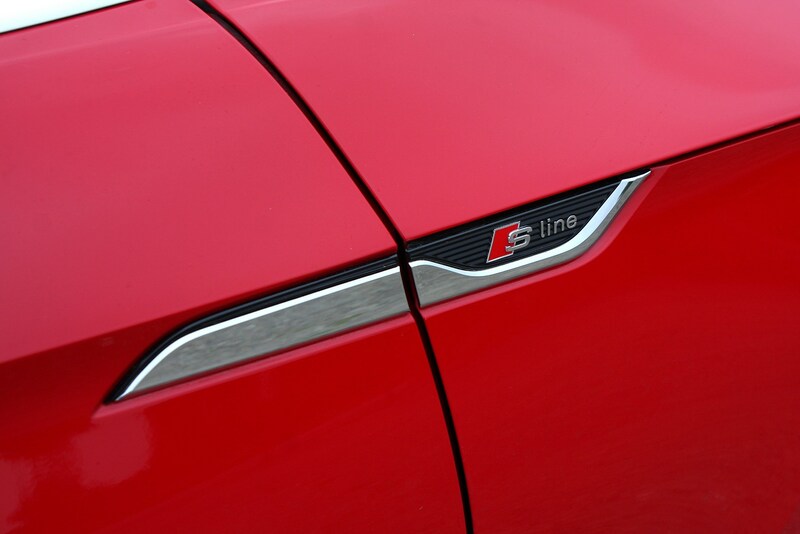 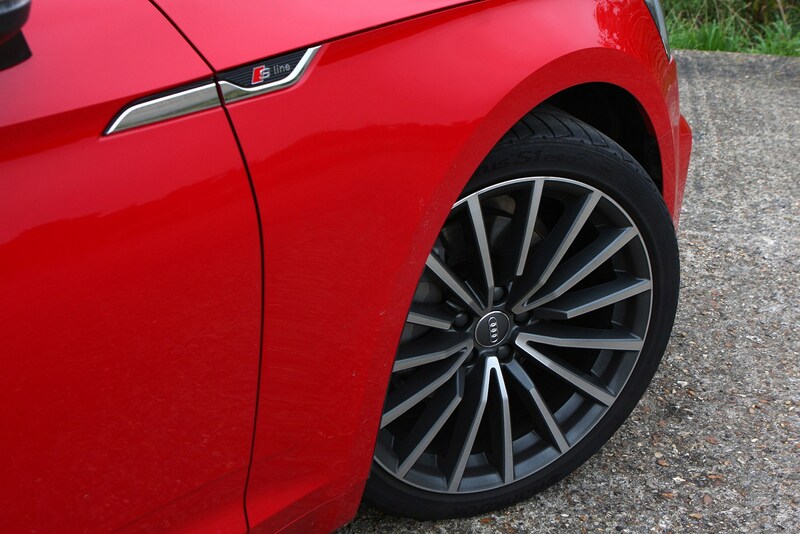 There are two petrol engines – badged TFSI – if you prefer petrol to diesel. 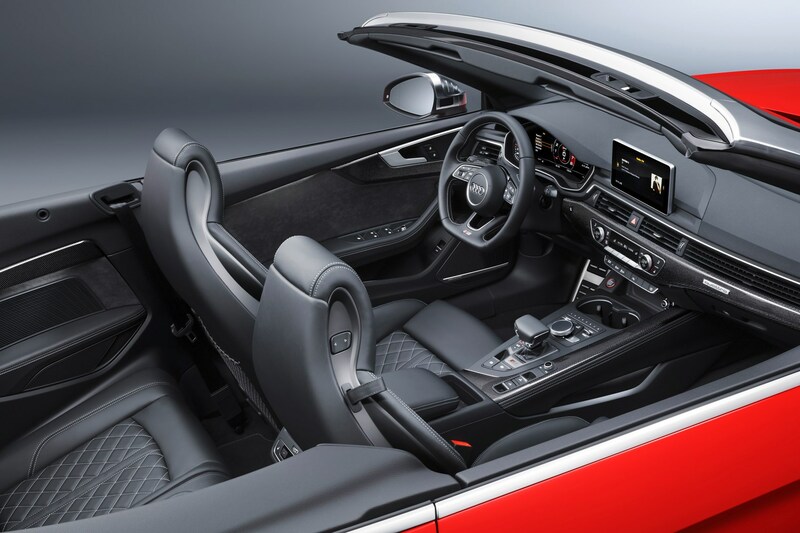 The first option is a 2.0-litre with 190hp and 320Nm paired with a six-speed manual (the only engine available with a manual gearbox) or a seven-speed S tronic dual-clutch auto. 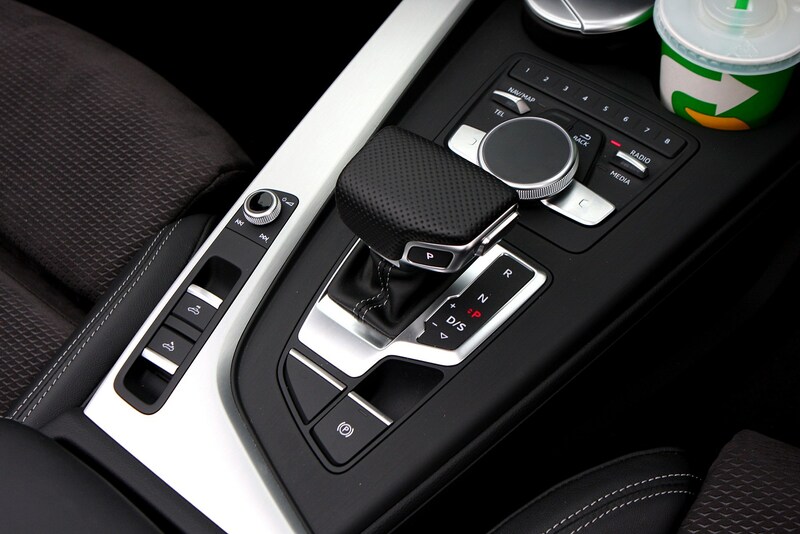 In both manual and auto form it’ll go from 0-62mph in 7.9 seconds, with top speeds of 148mph and 147mph respectively. 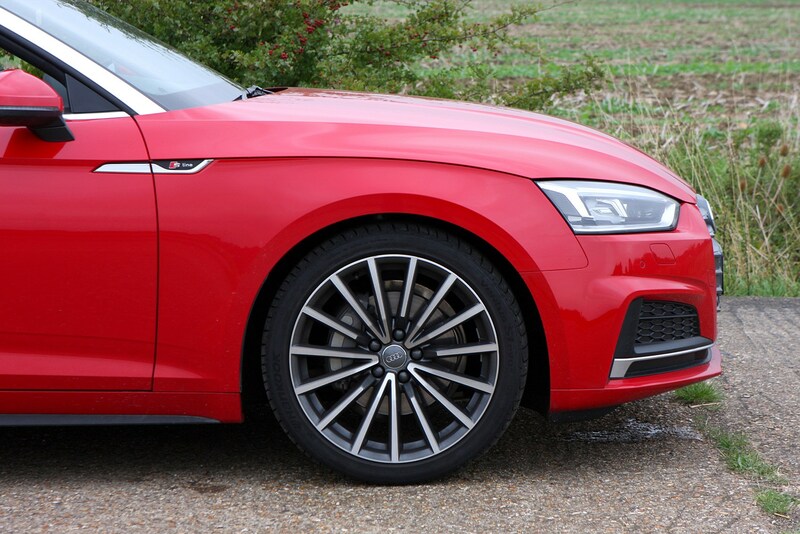 Both of these versions only come with front-wheel drive. 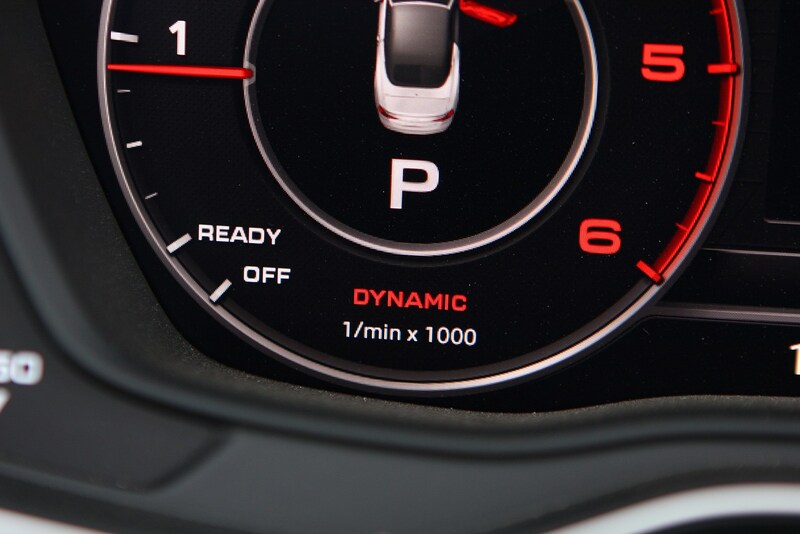 The 190hp petrol is more than adequate for most drivers’ needs. 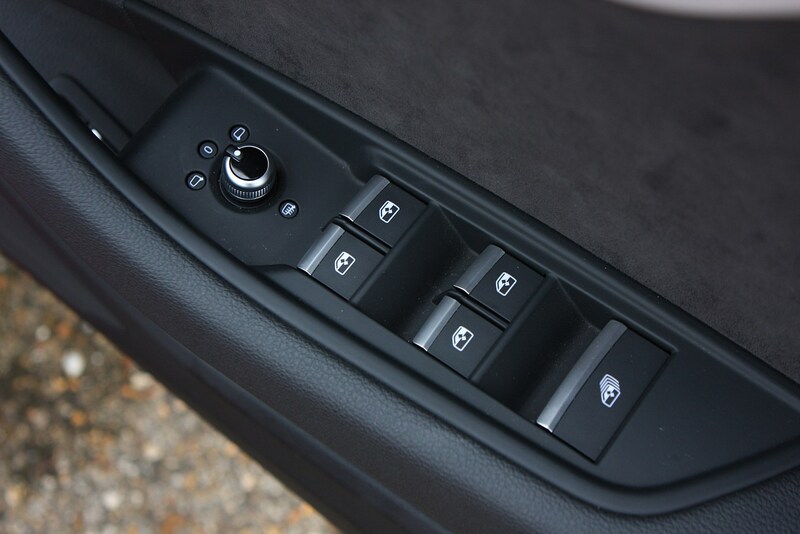 It’s almost silent in operation but pulls well from low revs and works seamlessly if you go for the automatic gearbox. 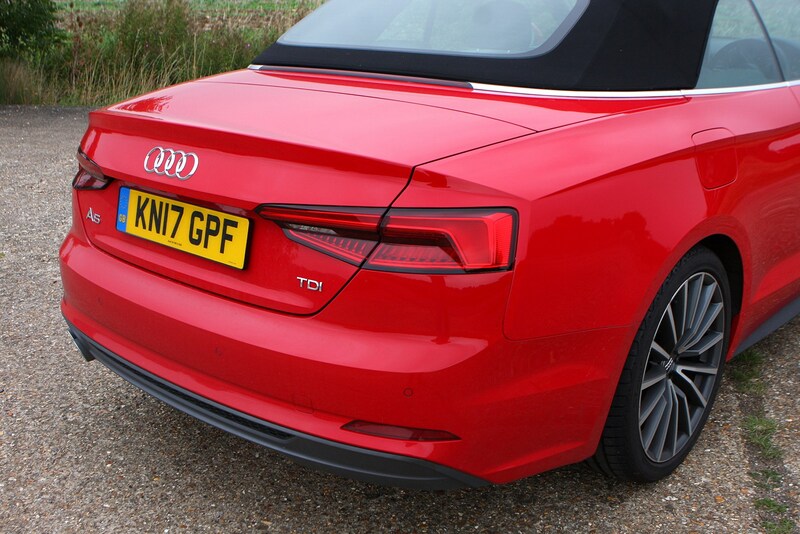 It’s a good package and occupies a sweet spot in the range between the low-cost diesel and the high-excitement S5, meaning it’s a decent compromise. 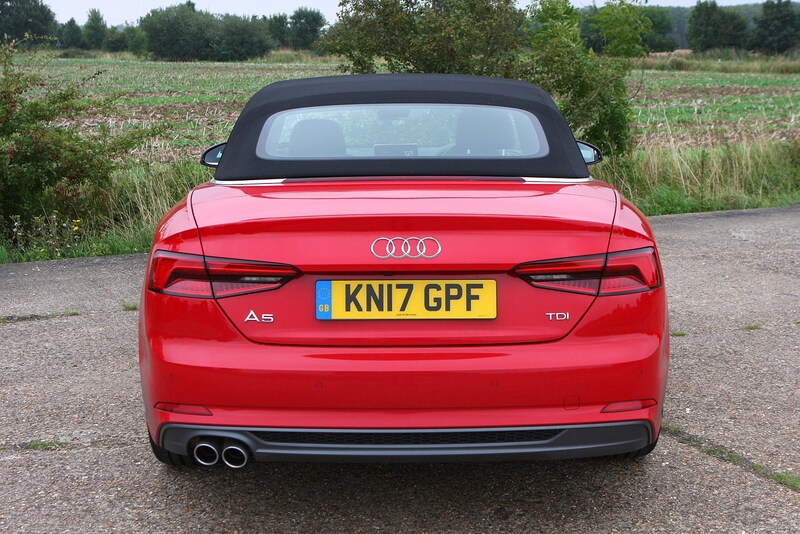 If you demand a bit more oomph from your A5, there’s also a 252hp 2.0-litre TFSI to go for with 370Nm of torque. 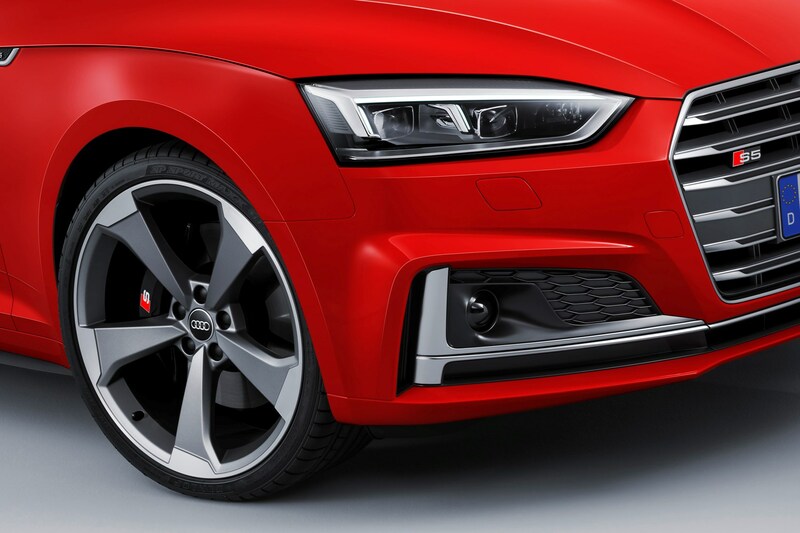 Coming exclusively with a seven-speed automatic gearbox and Quattro all-wheel drive, it’ll sprint from 0-62mph in 6.3 seconds, and will reach 149mph at top speed. 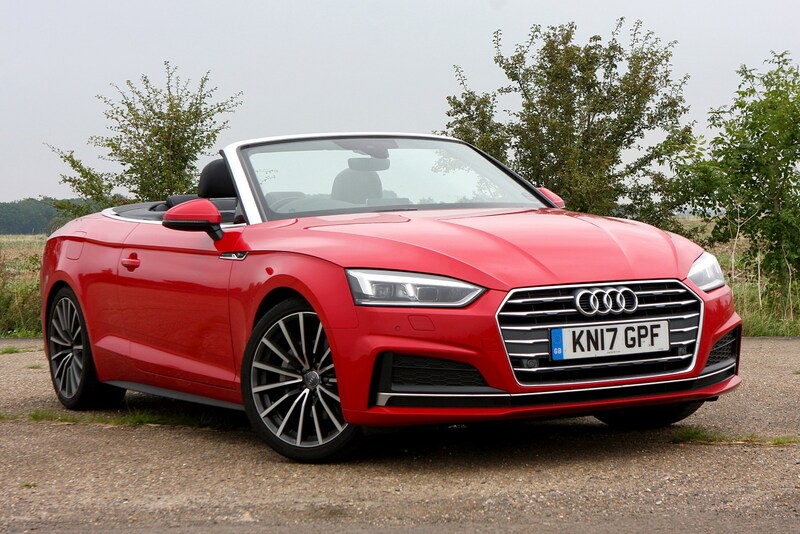 The highest-performing option gets a 3.0-litre TFSI petrol V6 with 354hp and Quattro all-wheel drive mated to an eight-speed automatic gearbox. 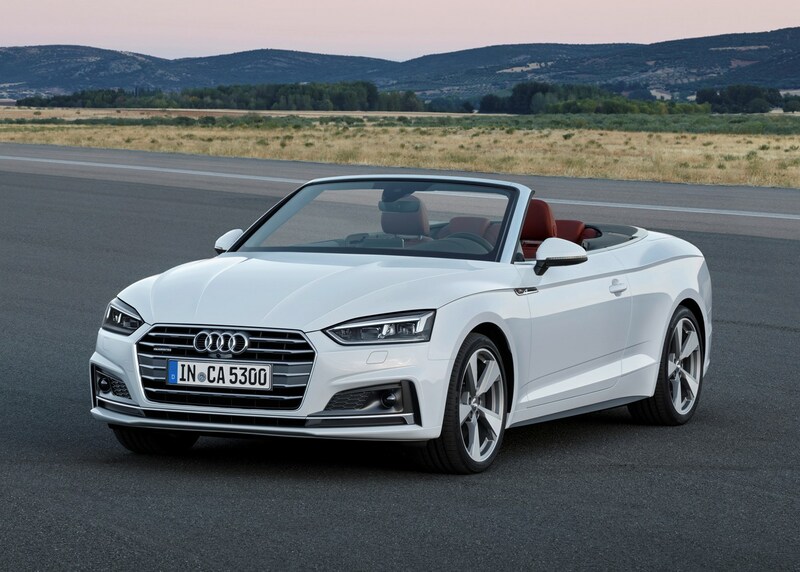 With a 0-62mph time of just 5.1 seconds, it’s easily the most rapid version of the A5 Cab, with an electronically-limited top speed of 155mph. 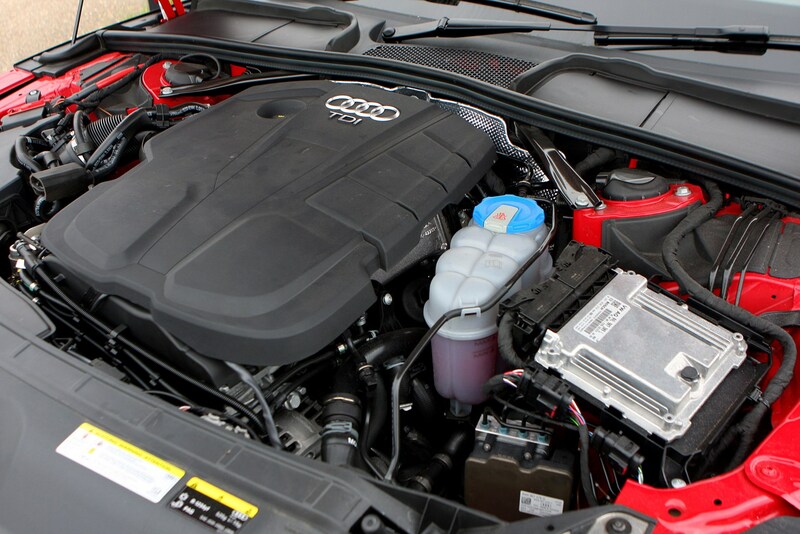 This engine is by far the most exciting in the range, with more than enough power for any situation. 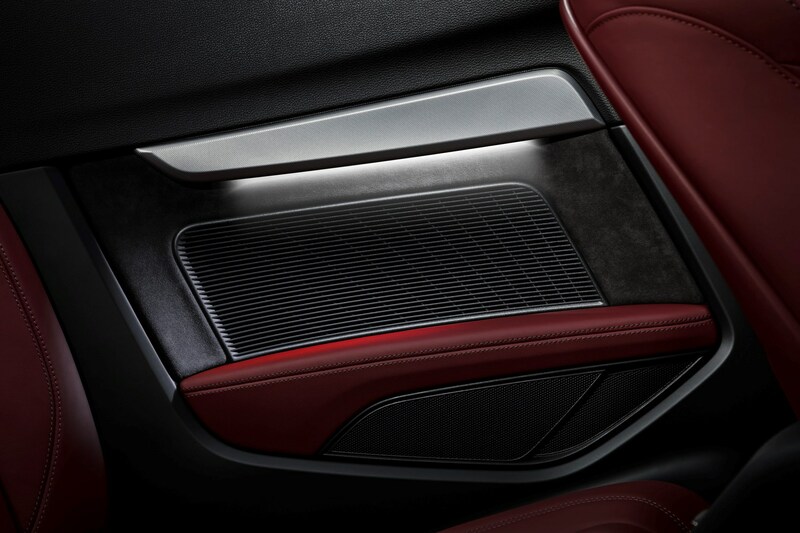 It sounds great too, with a deep rumble at low speeds followed by increasing volume and frequency as the revs increase. 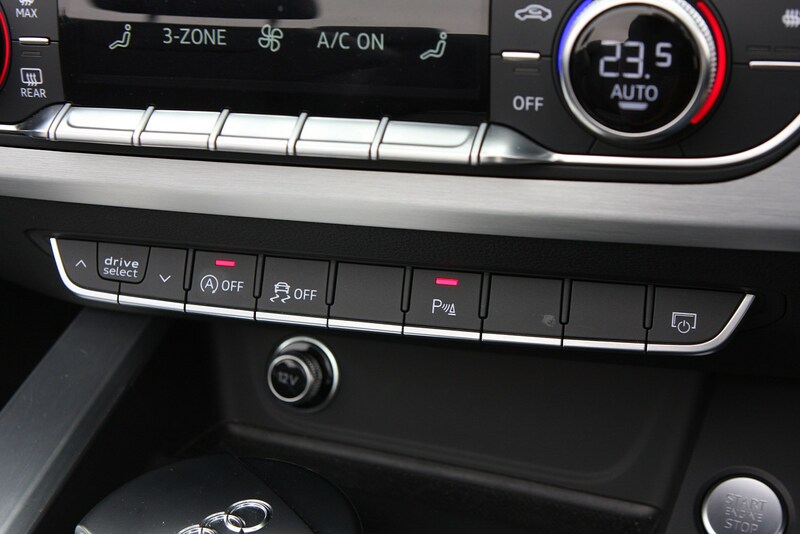 Controlled by a switch below the main infotainment screen, the Drive Select system allows the driver to tailor the car’s characteristics to the type of driving they’re doing. 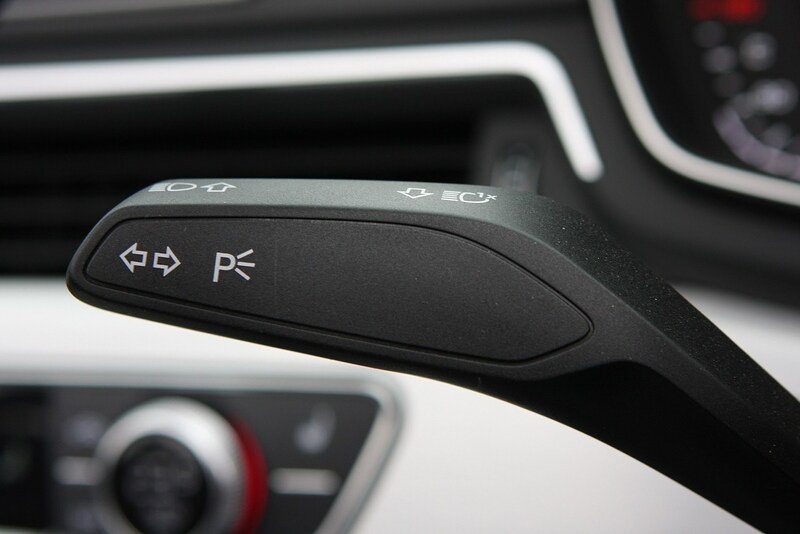 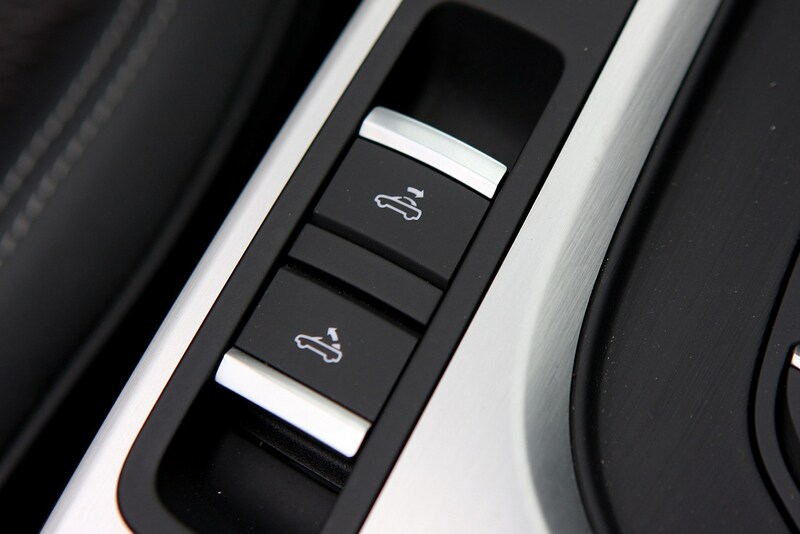 For example, on your favourite B-road switch to Dynamic and it’ll sharpen up the throttle response and tell the gearbox to hold onto each gear for longer, making for feistier performance. 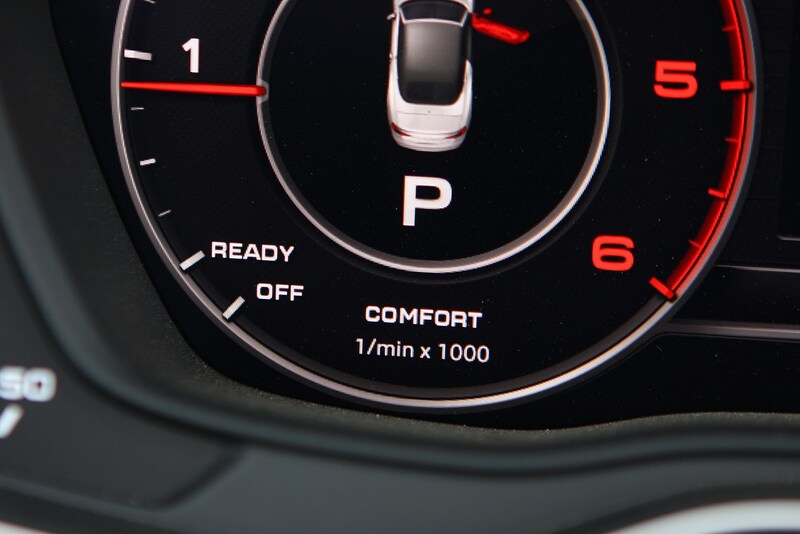 Comfort mode does the opposite, while an Eco mode aims for the most efficient drive and introduces a ‘coasting’ function for the gearbox, which decouples it from the engine when you lift off the throttle to save fuel. 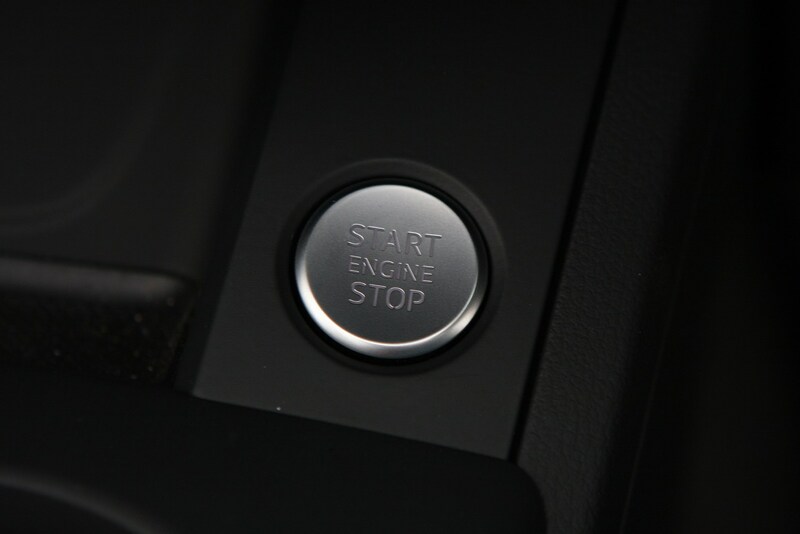 This can be disconcerting at first, but you’ll soon learn to drive around it. 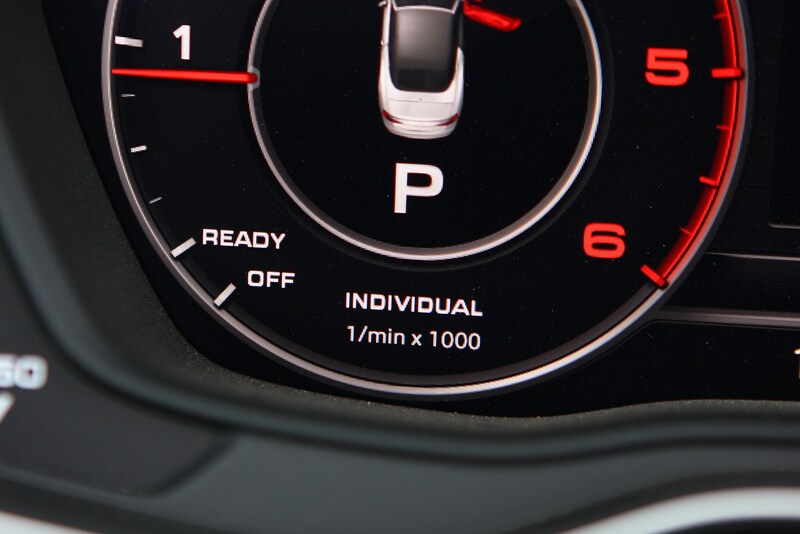 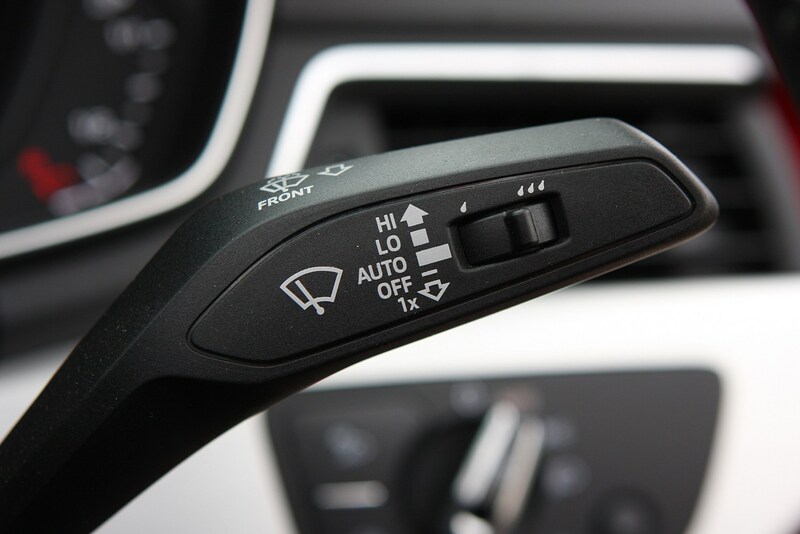 The final setting is Individual, which allows the driver to set up their own mode based on their chosen parameters. 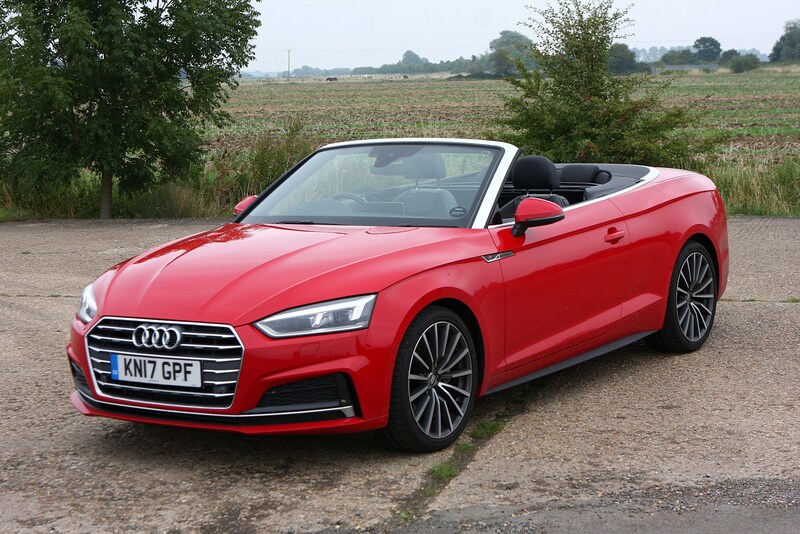 Thanks to a very stiff body shell – up to 40% more rigid than the previous generation – the A5 Cabriolet’s handling is extremely accomplished considering it lacks the strengthening a metal roof provides. With Quattro all-wheel drive system and adaptive suspension, the A5 has huge grip reserves and balanced, confident cornering abilities. 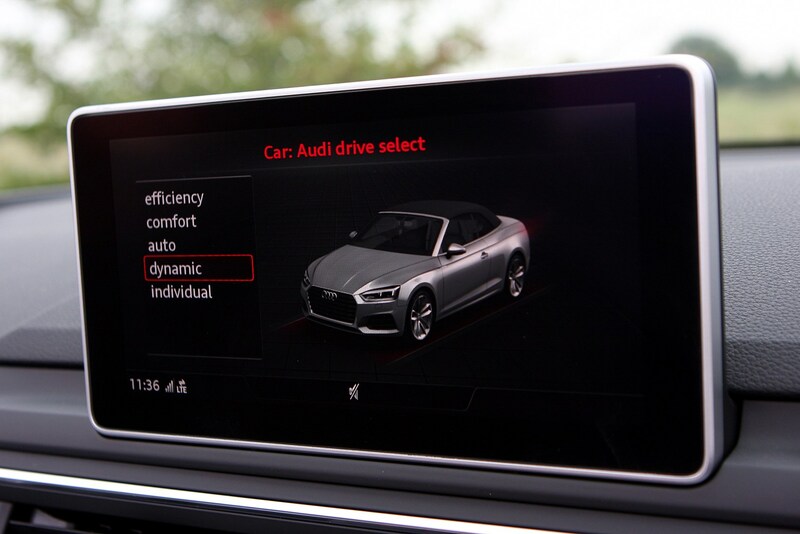 Put the Audi Drive Select system into Dynamic for a firmer, sportier set-up or leave it in Auto so it can decide for itself how the chassis should perform based on your driving. 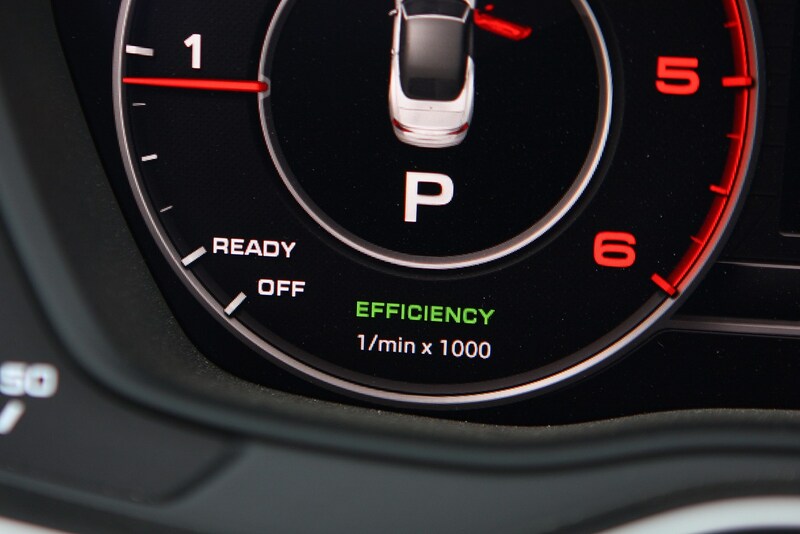 This same system adjusts the weighting of the steering accordingly, though the difference can be hard to detect on lower-performance engines. 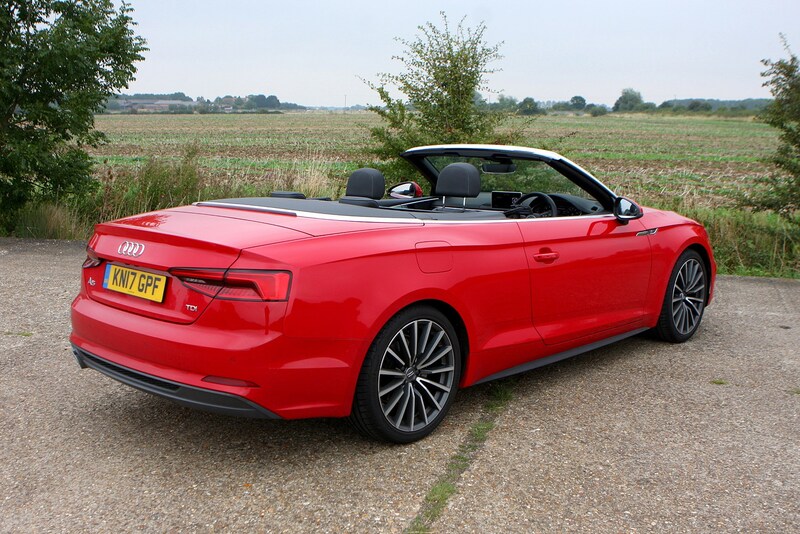 Even without Quattro, though, it’s a tidy handler with good body control and impressive grip. 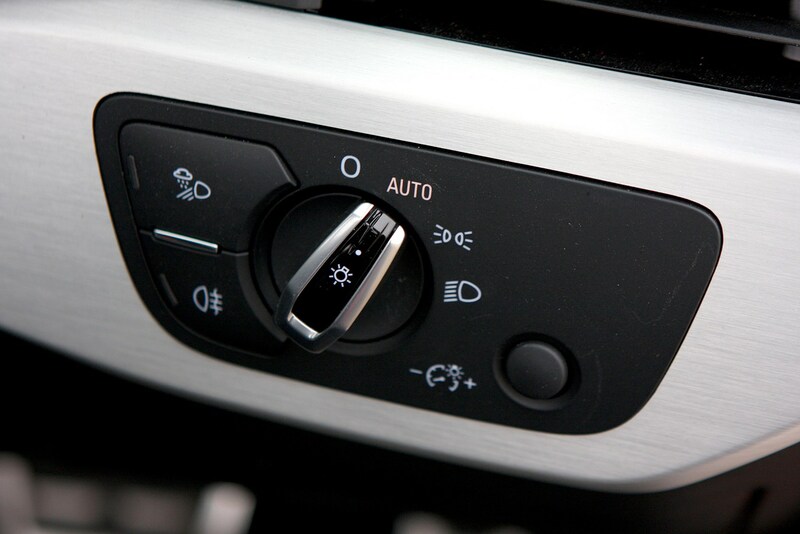 You only notice the lack of all-wheel drive in greasier road conditions, but that’s only if you have a slightly more exuberant driving style. 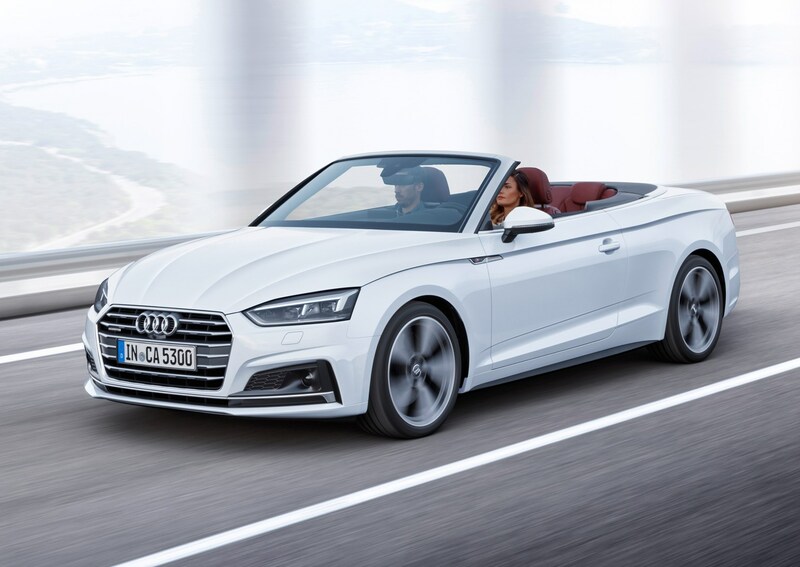 In reality, a front-wheel drive car will suit the majority, as the A5 Cabriolet encourages you to slow down and enjoy the ride. 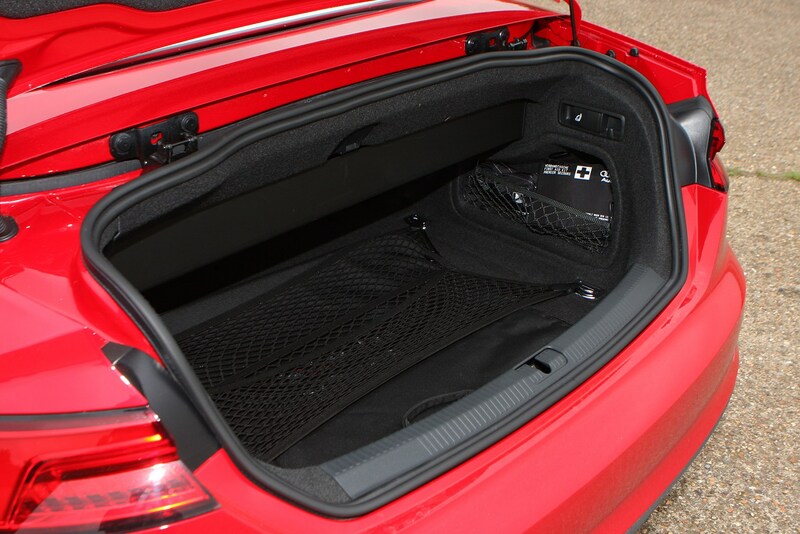 However, it’s nice to know it won’t unravel itself and feel too cumbersome if and when you do want to have a bit more fun. 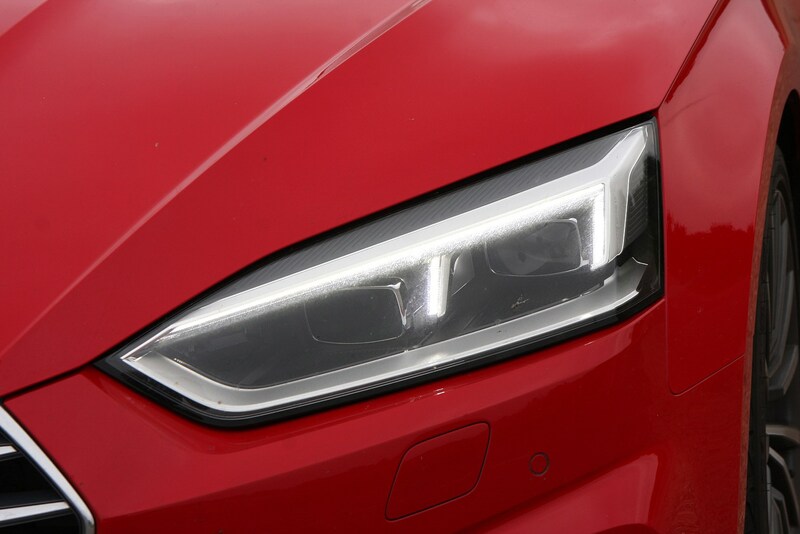 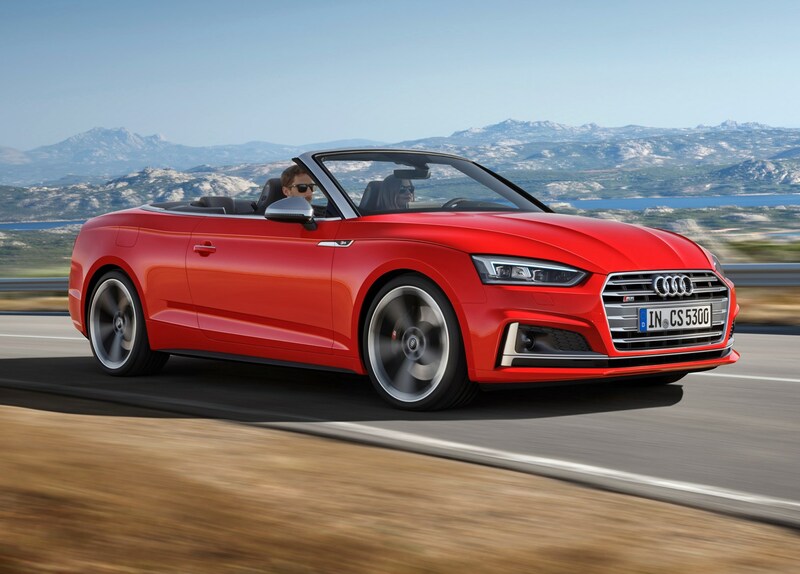 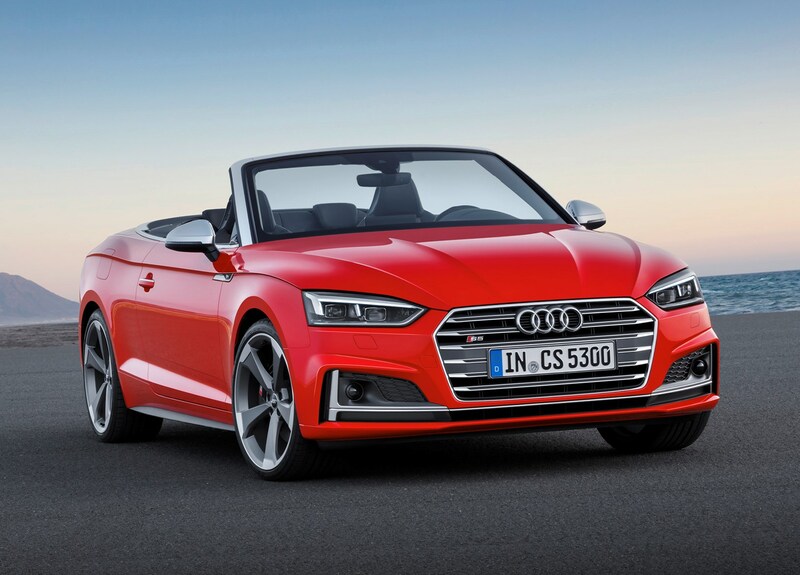 The Audi S5 Cabriolet is the best in the line-up to drive by quite some margin, because its sportier pretensions have allowed the firm’s engineers to dial in more weighting and feel to the steering, which means the driver feels a better connection with the car. 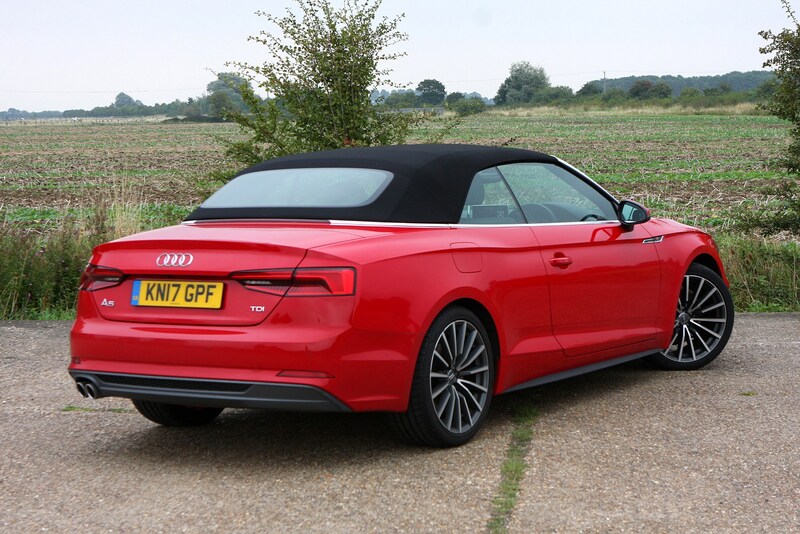 In this way, it’s not far behind the likes of the BMW 440i, although not quite as involving. 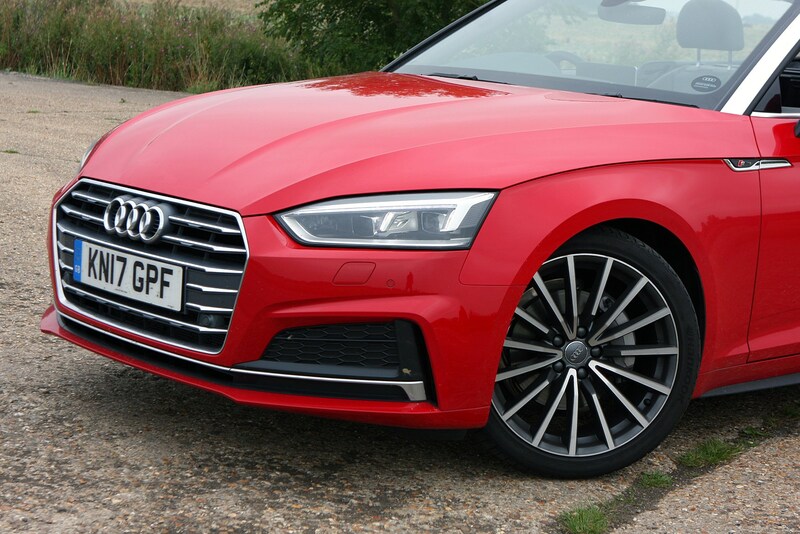 We found the lesser-powered models suffered slightly due to a pronounced numbness in the front end, but this is only apparent when pressing on and frankly if you’re doing that then the S5 is the car for you anyway. 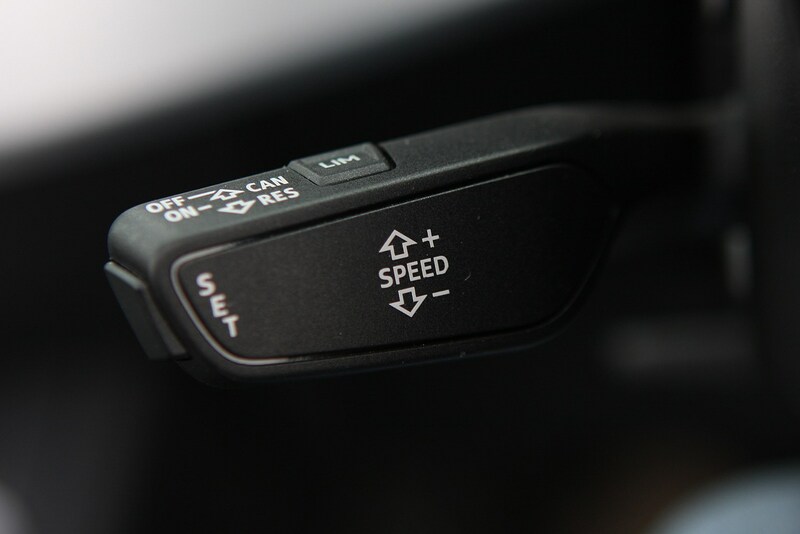 The flipside is light, user-friendly steering that makes lower-speed manoeuvring easier. 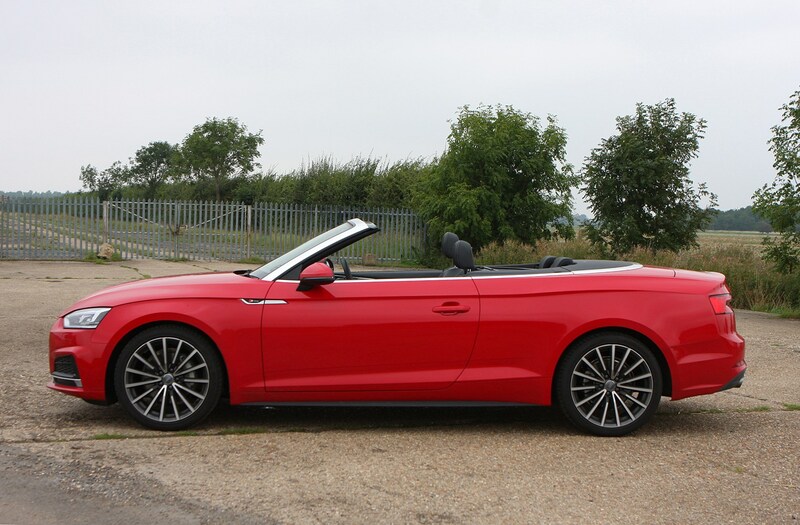 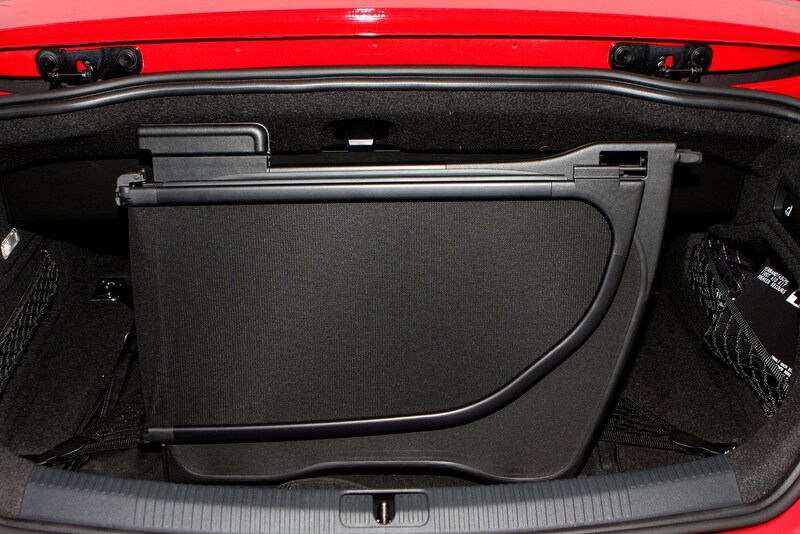 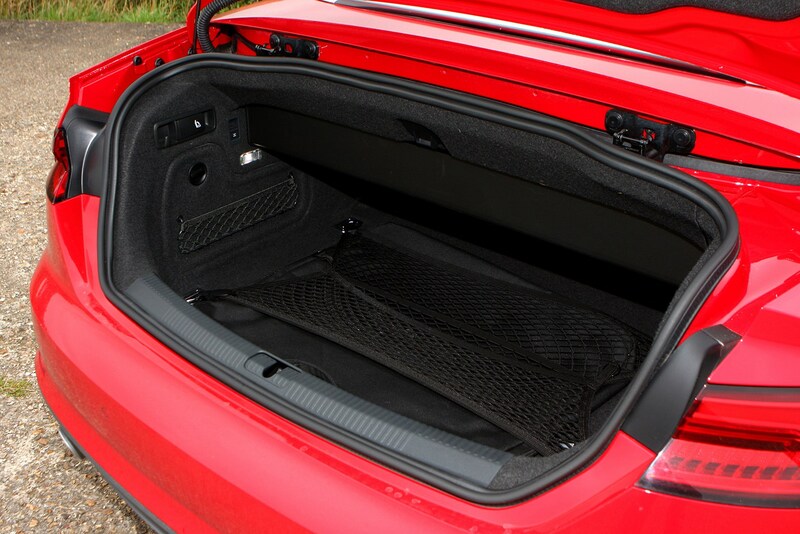 With the roof up parking can be hindered slightly by obscured vision around the rear quarters of the car, but standard parking sensors help here and you’ve also got the extra-cost option to add a 360-degree parking camera or an automatic parking system to make this easier still. 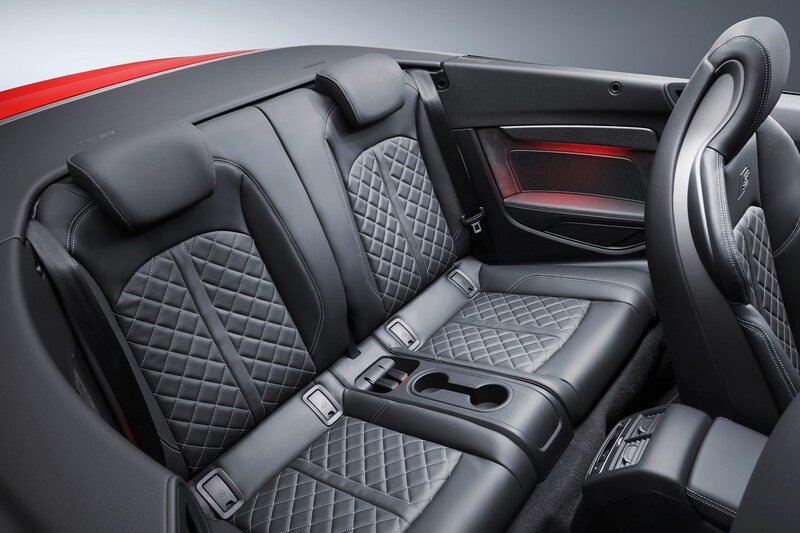 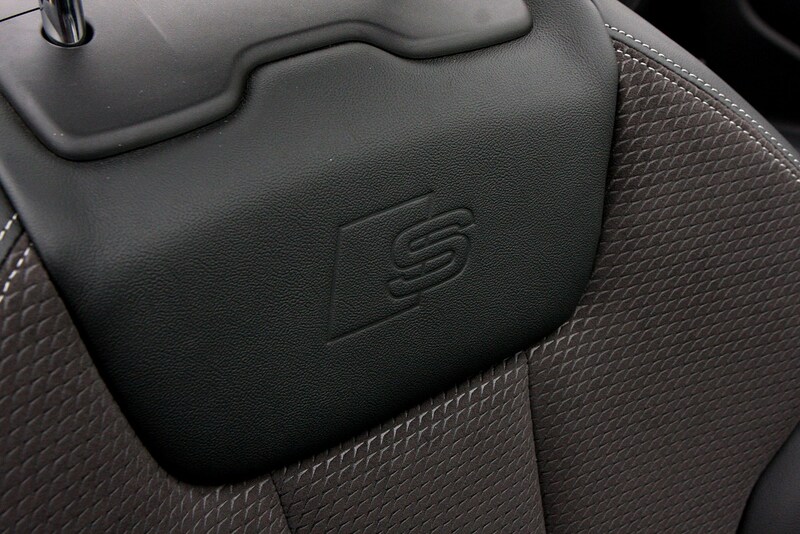 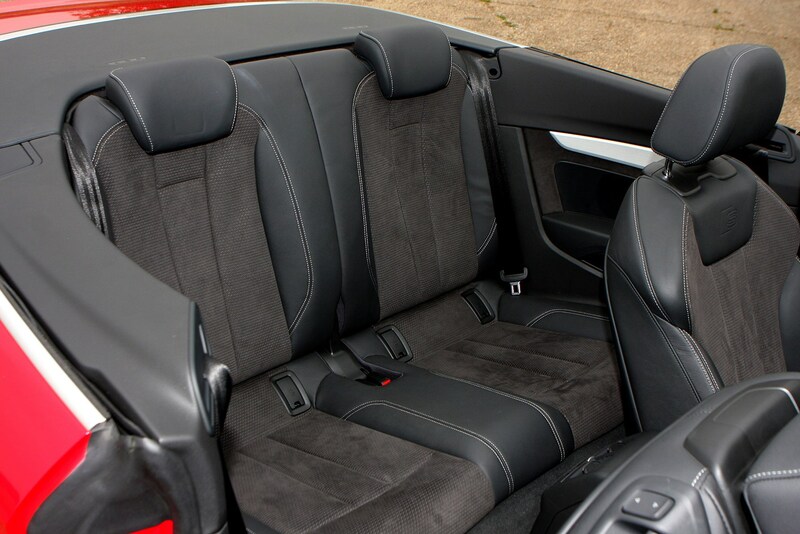 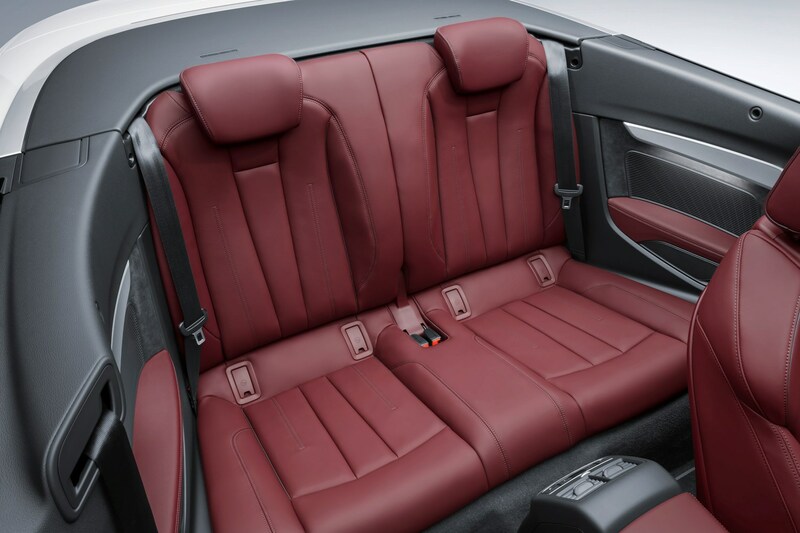 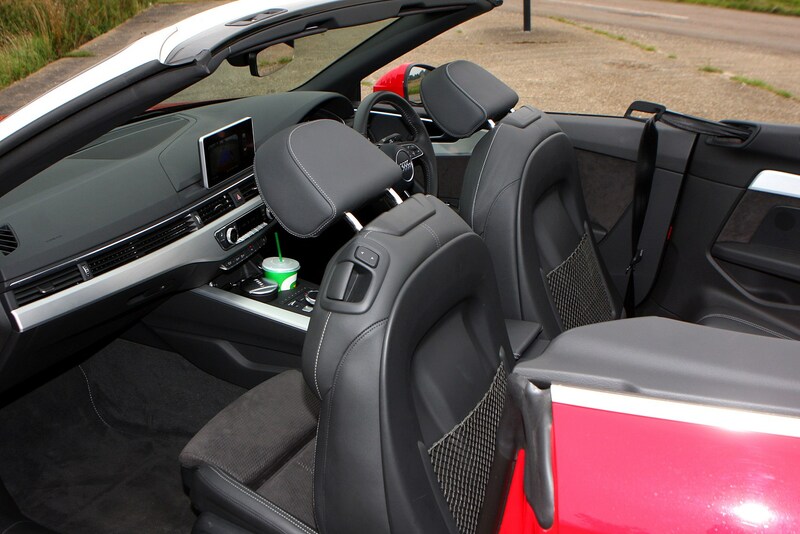 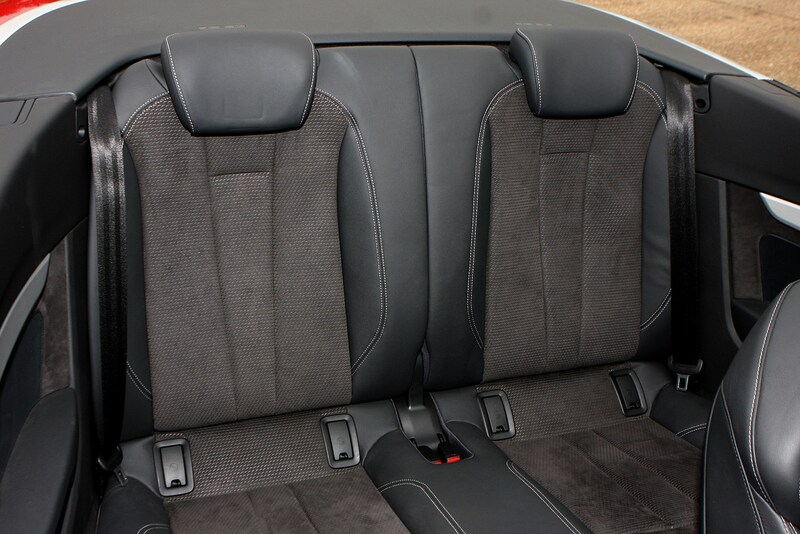 The cabin of the A5 Cabriolet is a particularly nice place to be. 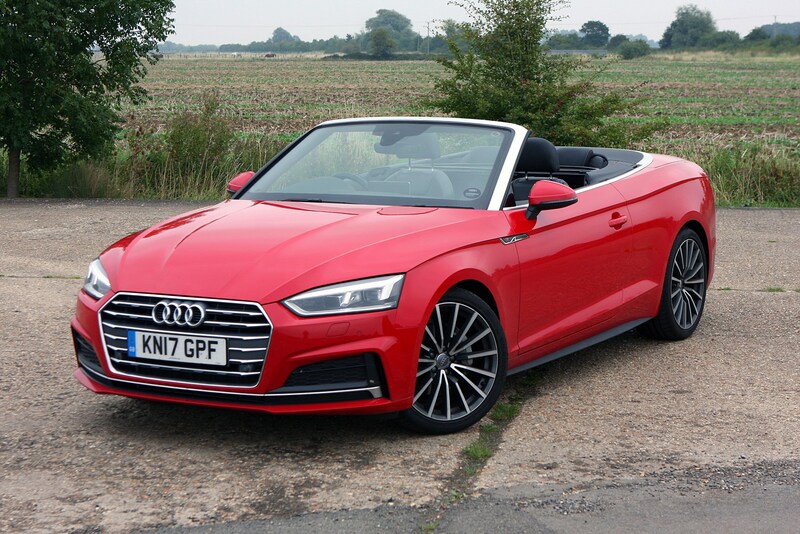 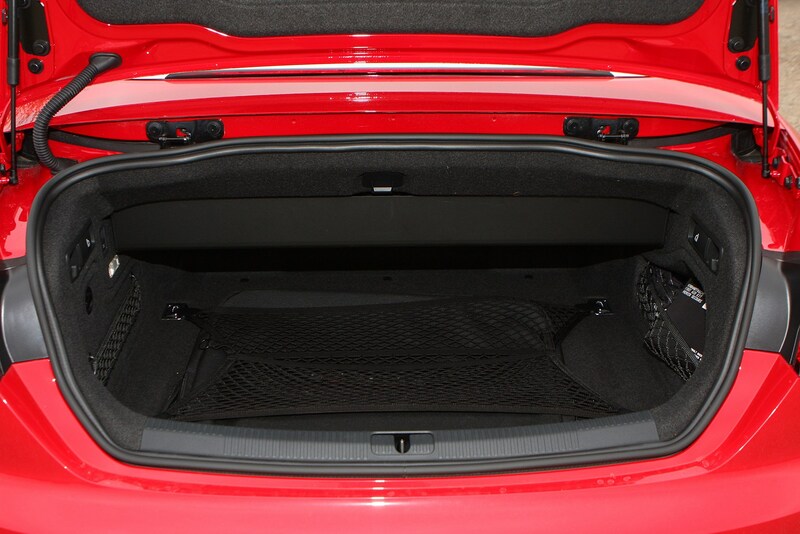 The materials feel high quality and all of the switchgear has a reassuring weighting to it that further amplifies the premium approach to drop-top motoring. 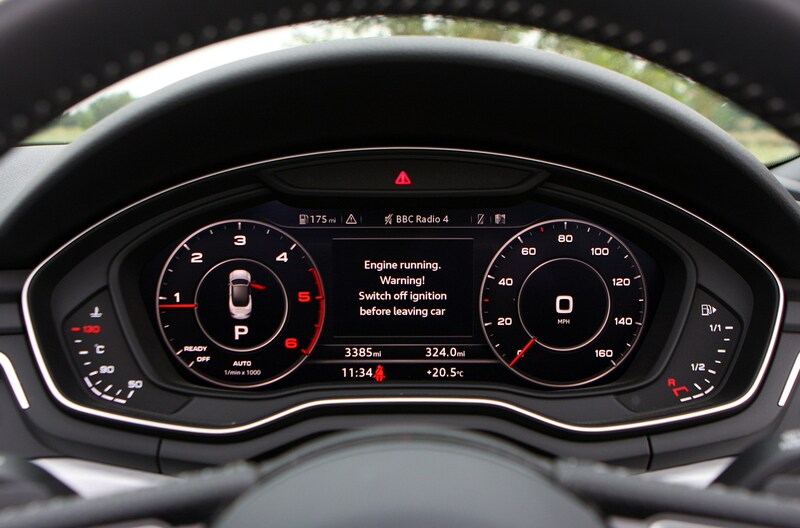 We’ve been very impressed in the past with Audi’s MMI navigation and infotainment arrangements, and in this car it’s no different. 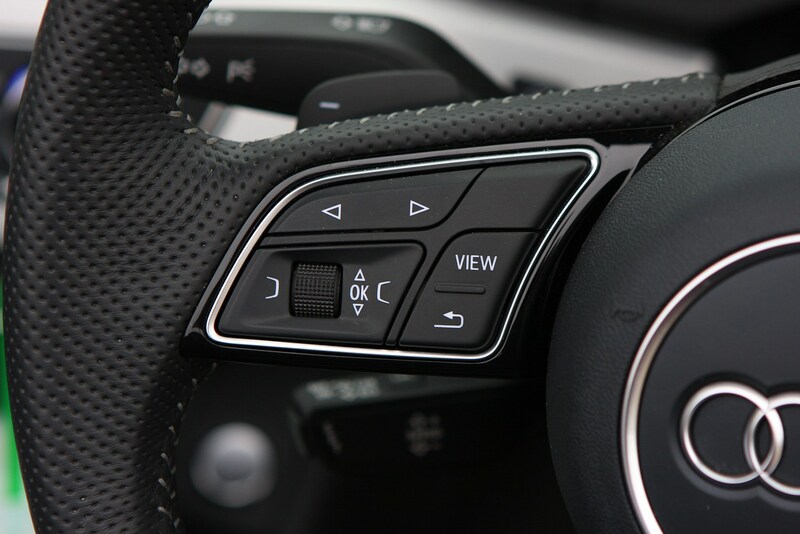 The integration of Google Maps and the optional Virtual Cockpit digital dial set-up is a particularly neat feature – set the dash to show a zoomed-in view of your immediate surroundings while the dash-mounted screen can display a view of the wider area. 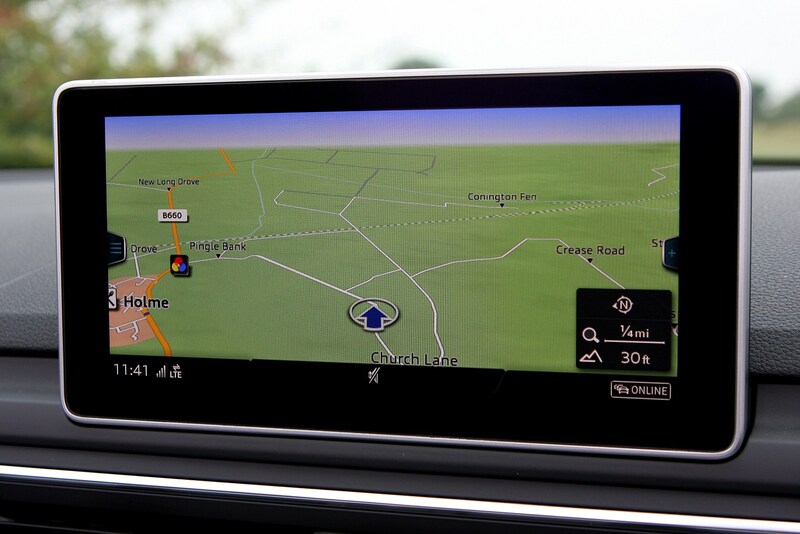 Scroll out far enough and it’ll even show what the weather is like in other places along your route. 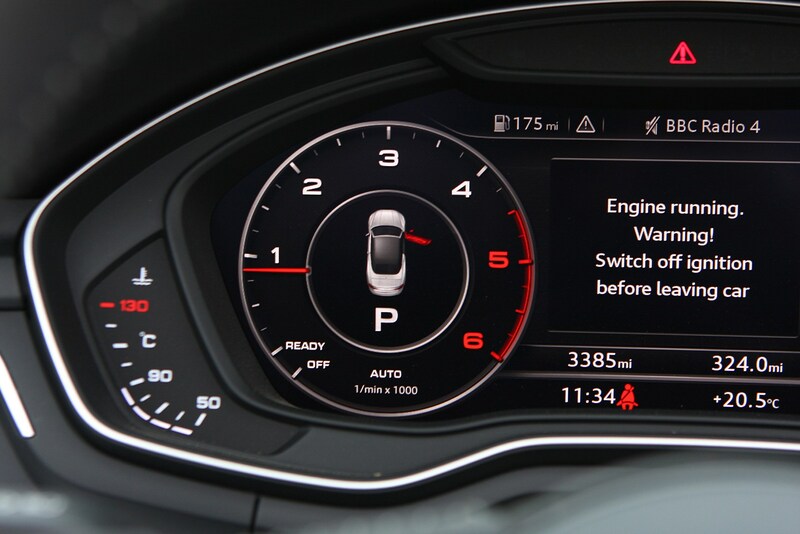 Or you can switch between the trip computer and what’s playing on the media system, with a choice of big or small dials, depending on your preference, while the main screen sitting on the dash can display the same information, as well as more of the car’s settings. 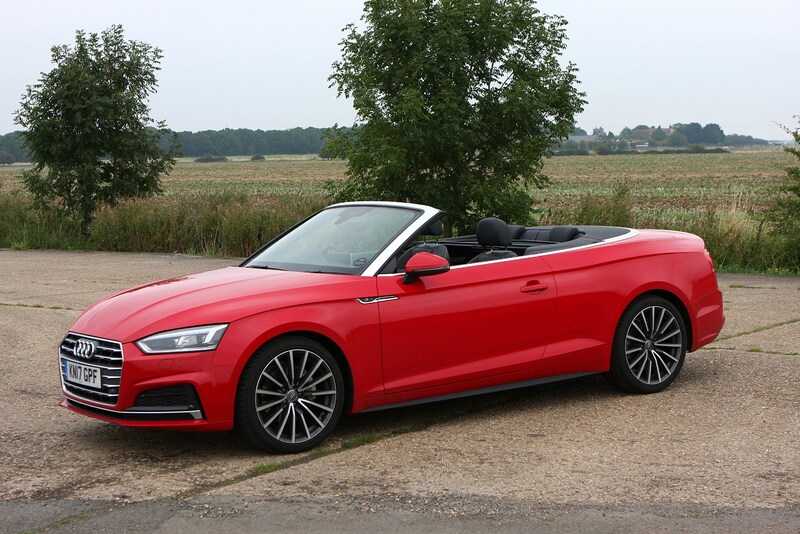 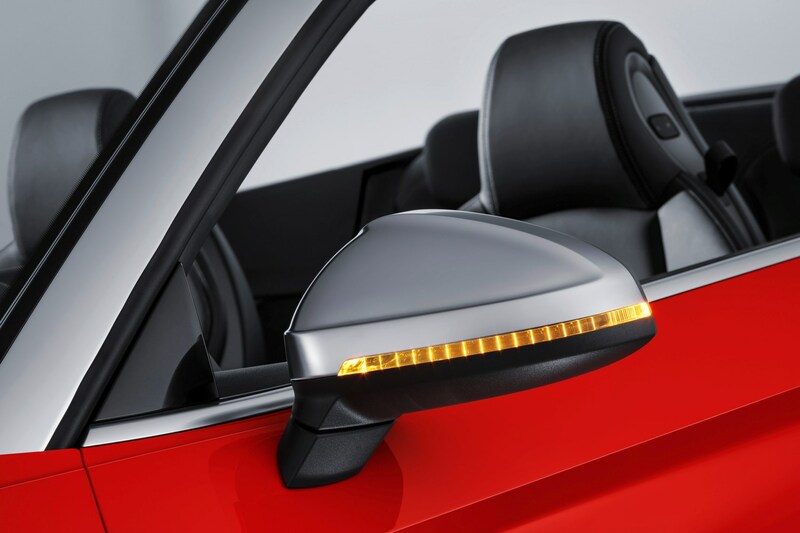 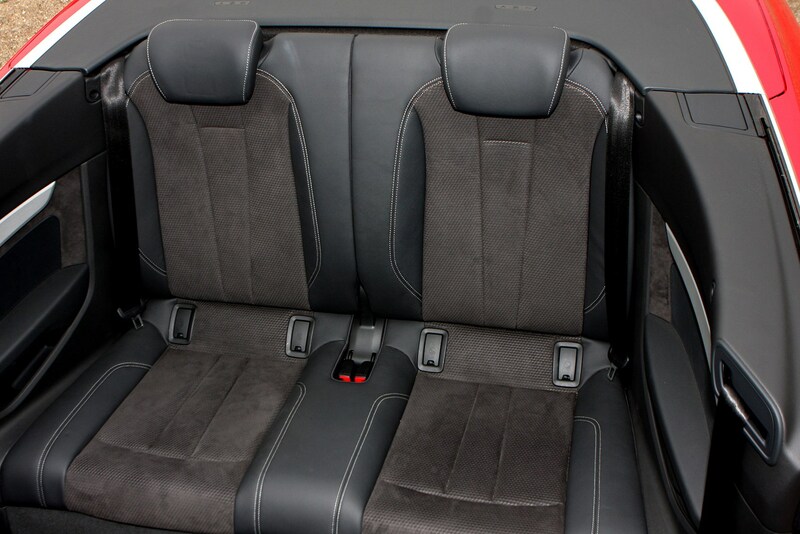 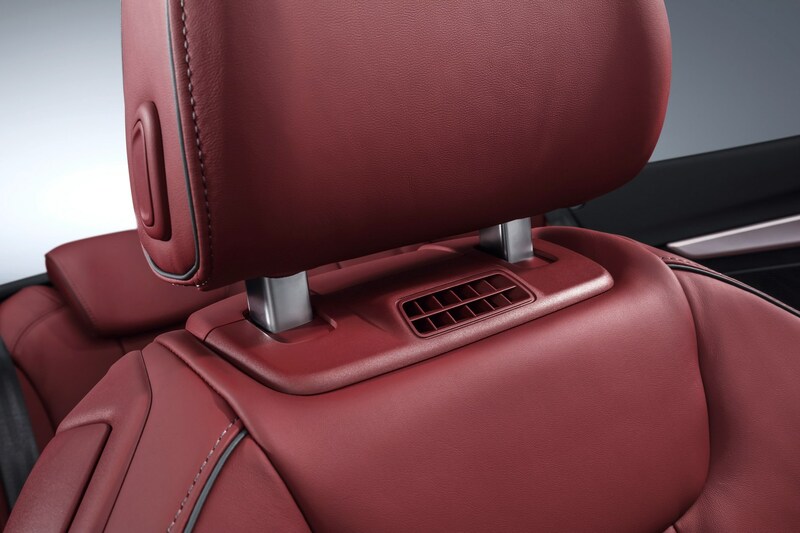 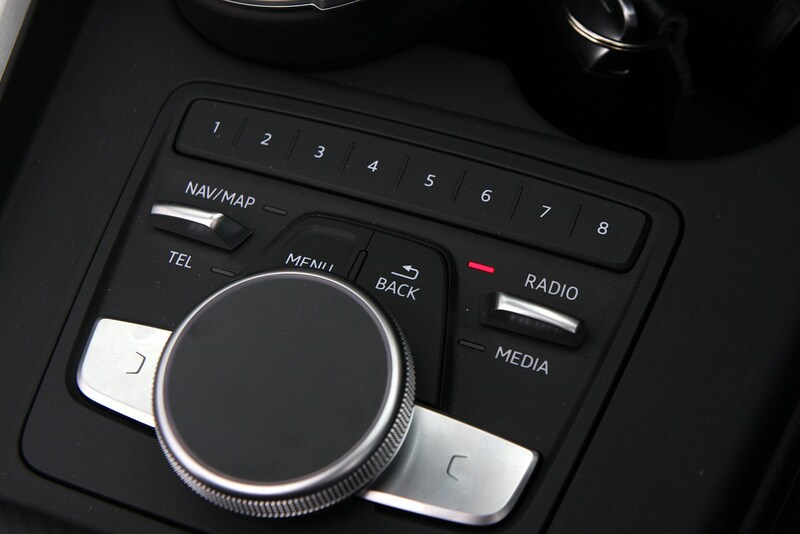 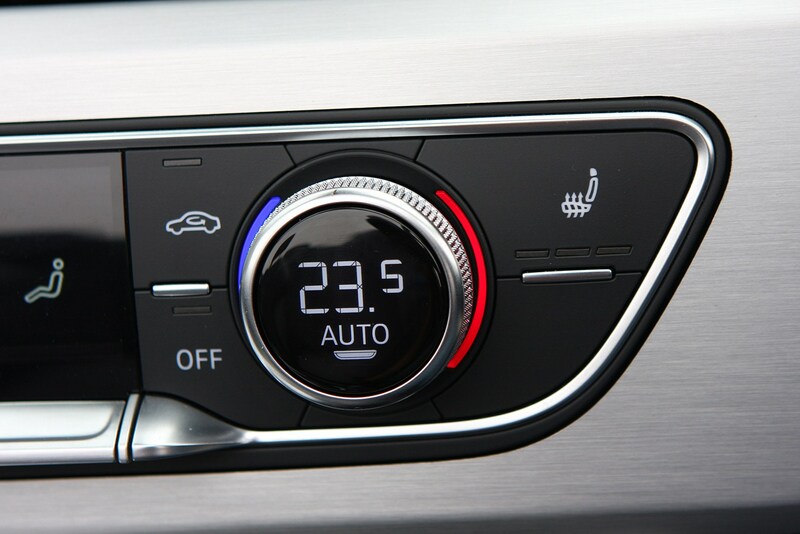 All of the car’s multimedia functions can be controlled via the rotary MMI controller by the gear lever, but the A5 Cabriolet also features voice-activation using microphones in the seatbelts – a neat idea that also means you’re able to make yourself heard more effectively when talking on the phone using Bluetooth connectivity. 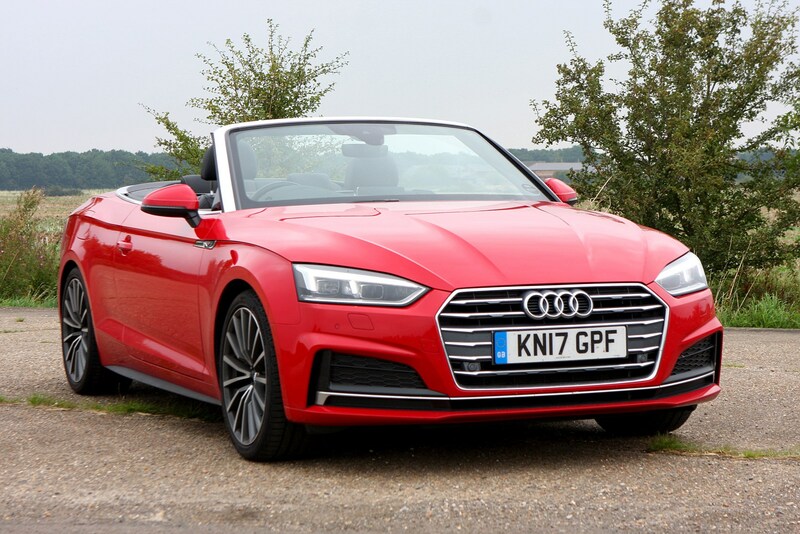 While most will find the A5’s driving position absolutely fine, with plenty of adjustment in the supportive yet comfortable seats and steering wheel, others may struggle. 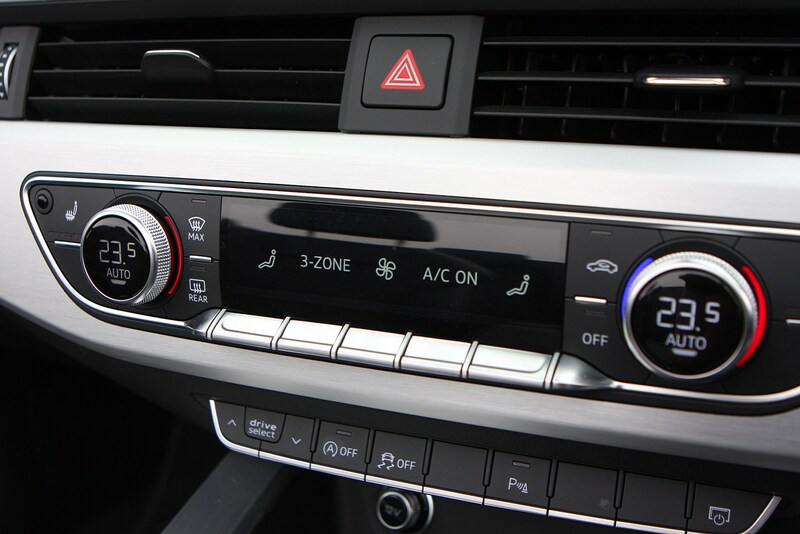 Some will find the driver’s seat isn’t quite in line with the pedals and steering wheel, which could make them feel uncomfortable over long distances. 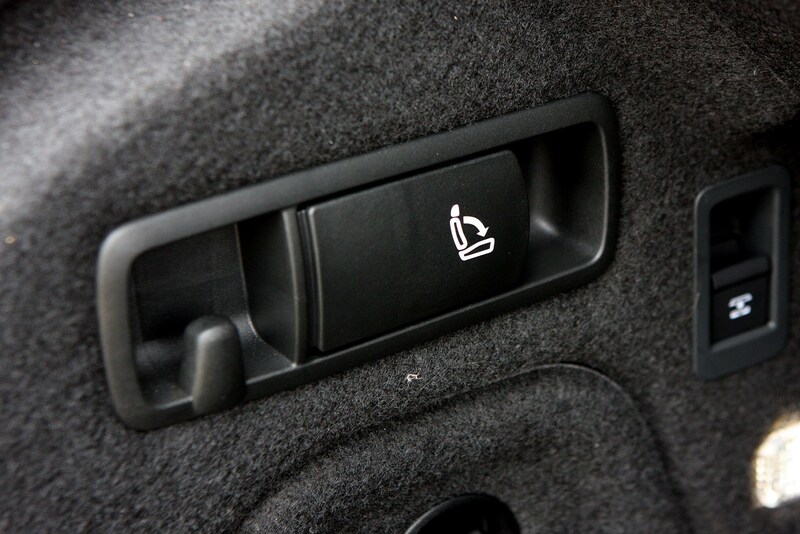 It’s worth noting that this isn’t an issue for all drivers. 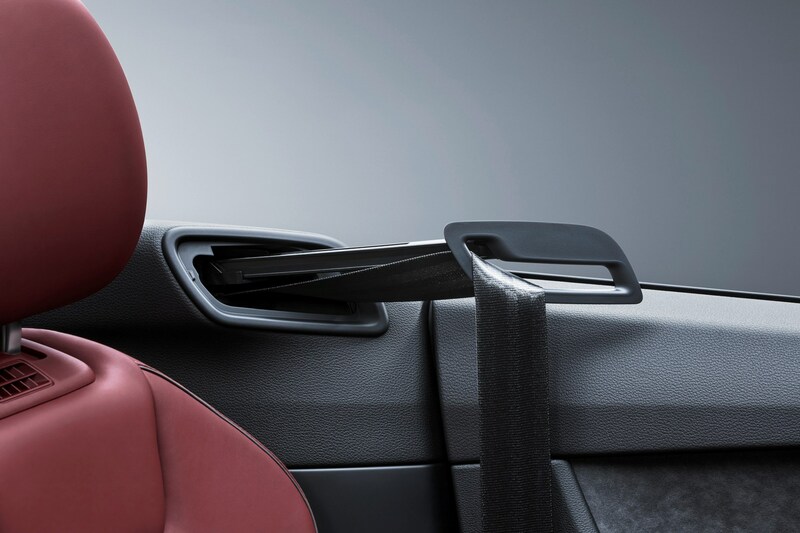 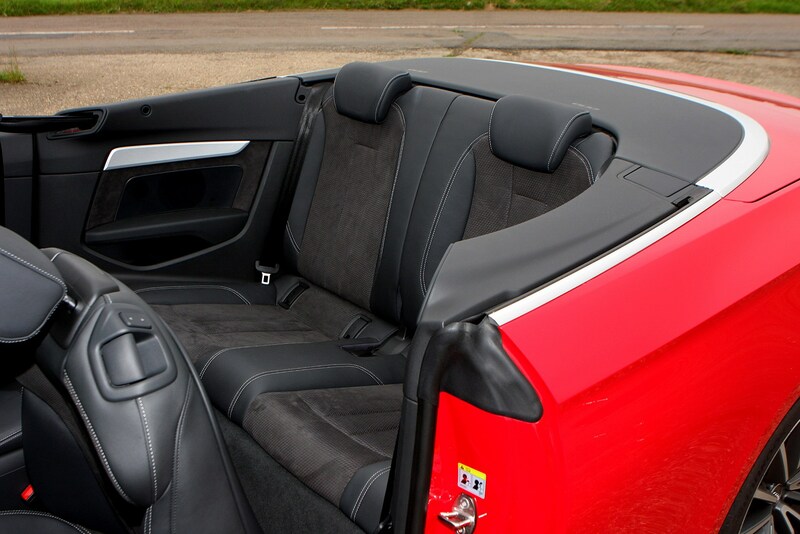 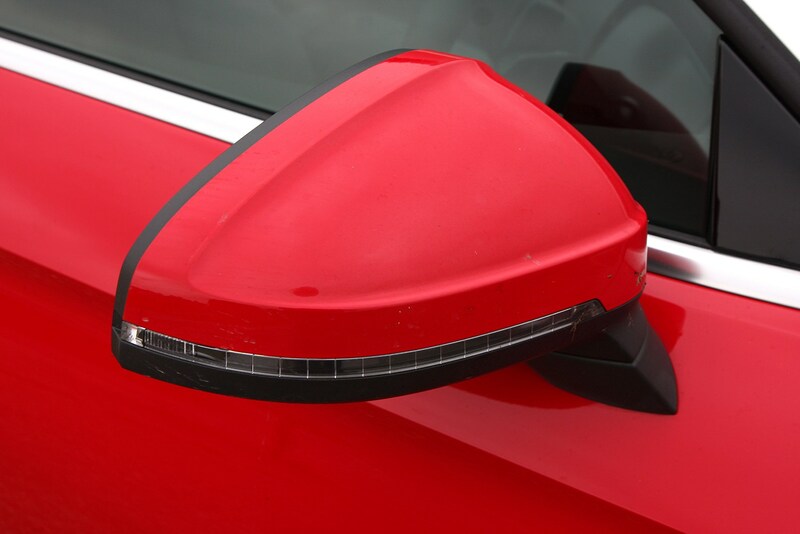 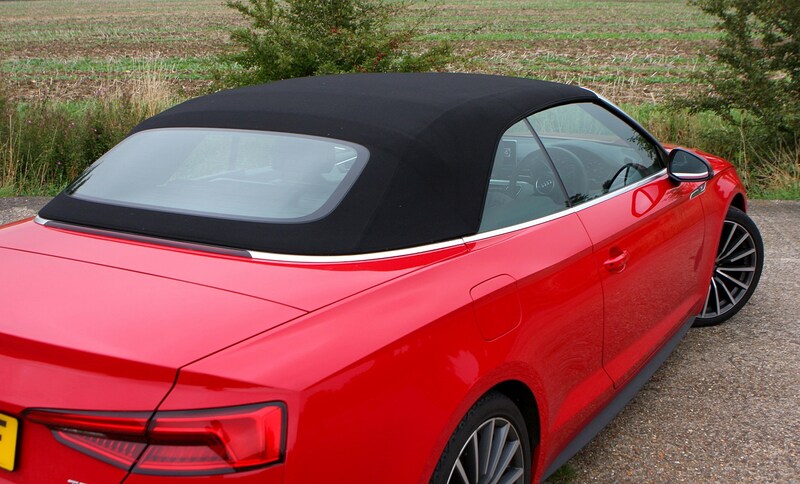 While overall visibility for the driver is good, the optional mesh wind deflector hampers the rearward view with the roof down, yet you’ll want it in place to keep the wind from intruding too harshly at higher speeds. 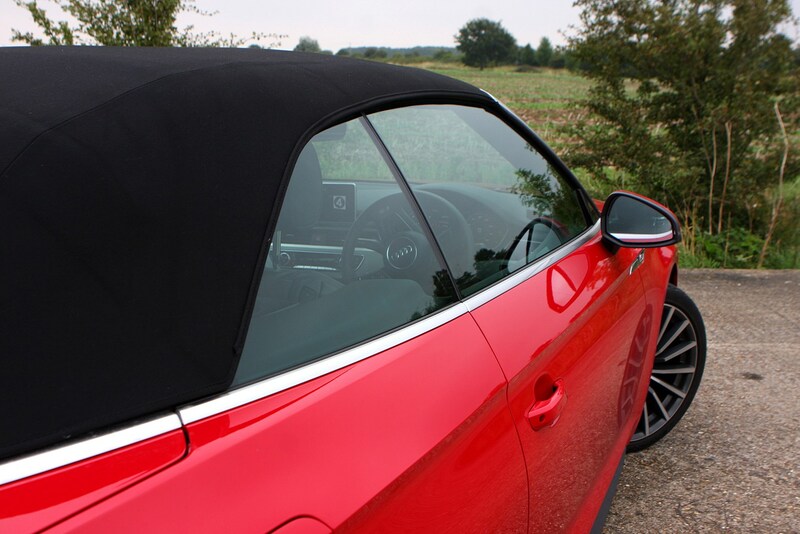 This is another area in which the A5 Cabriolet shines. 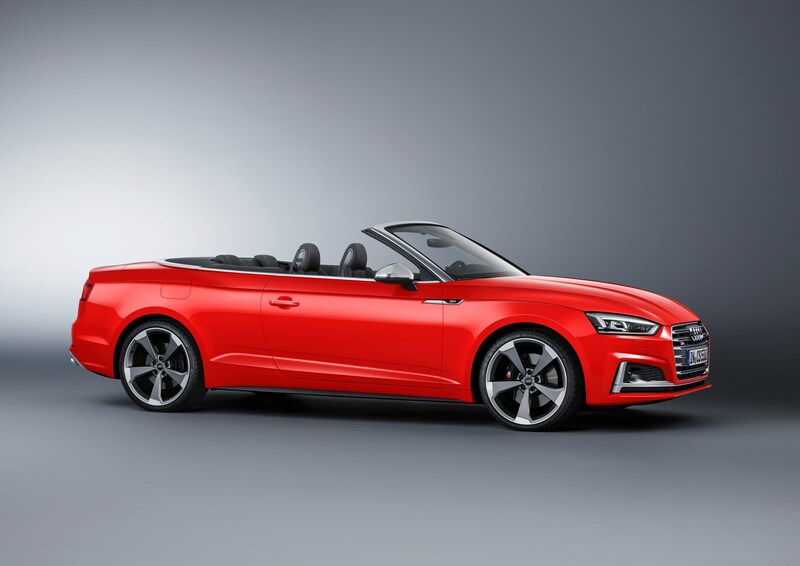 Thanks to the strong body structure and an incredibly well-insulated cabin, it’s an impressive attempt by Audi with one major caveat: we’ve only driven cars with electrically controlled adaptive suspension so far – an option that fewer than 5% of buyers will pick. 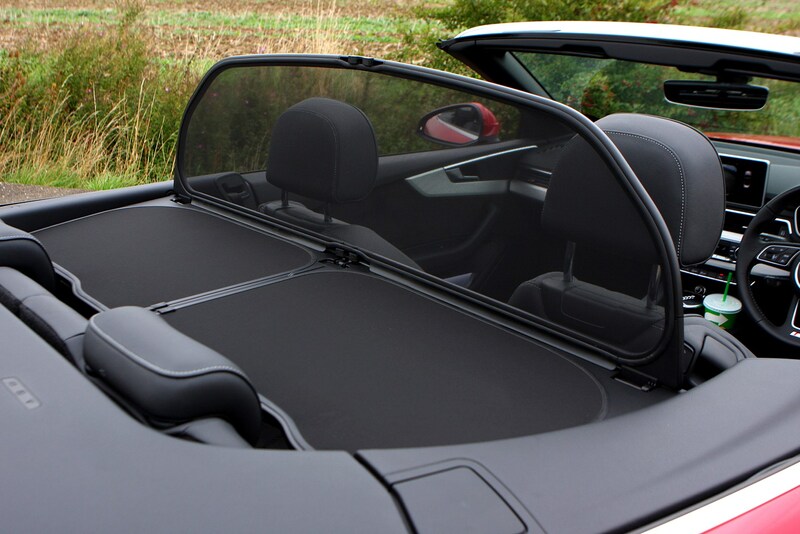 With the roof down there’s not a lot of wind intrusion so long as you keep the windows up and the wind deflector in its vertical position. 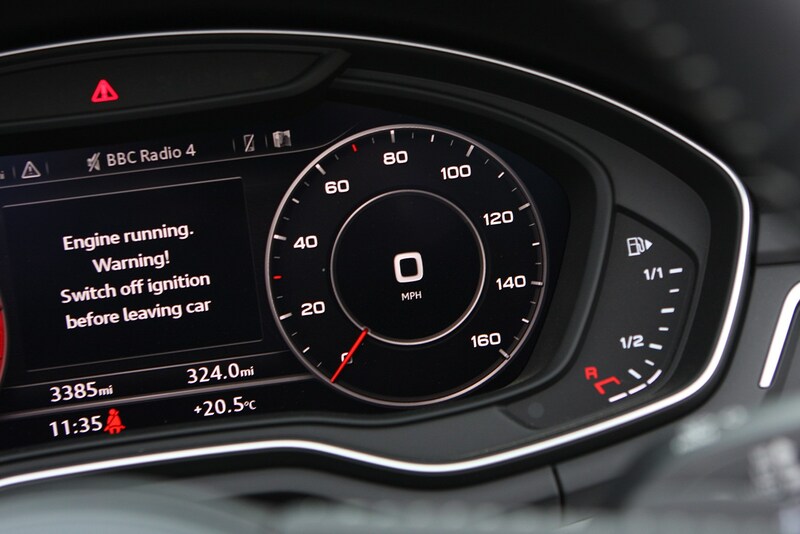 It’s easy to have a conversation with your passenger at motorway speeds. 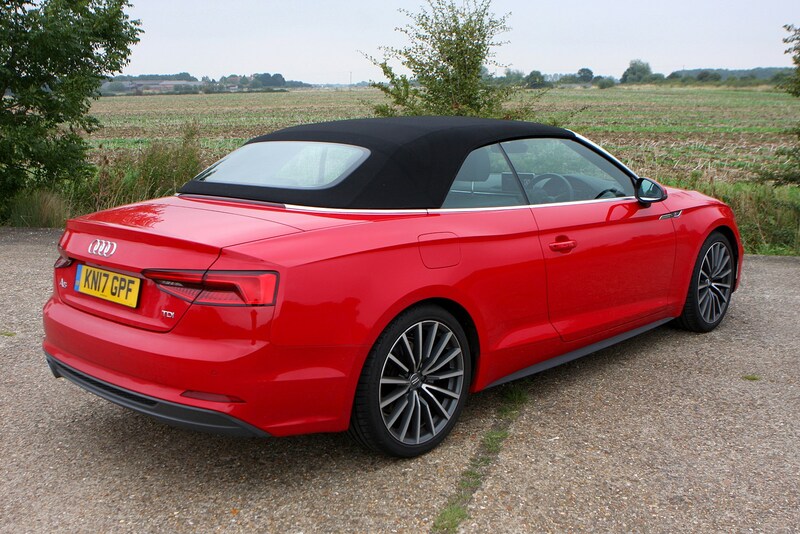 The most impressive thing here, however, is how hushed it is with the roof up: it’s almost like you’re driving a metal-roofed car. 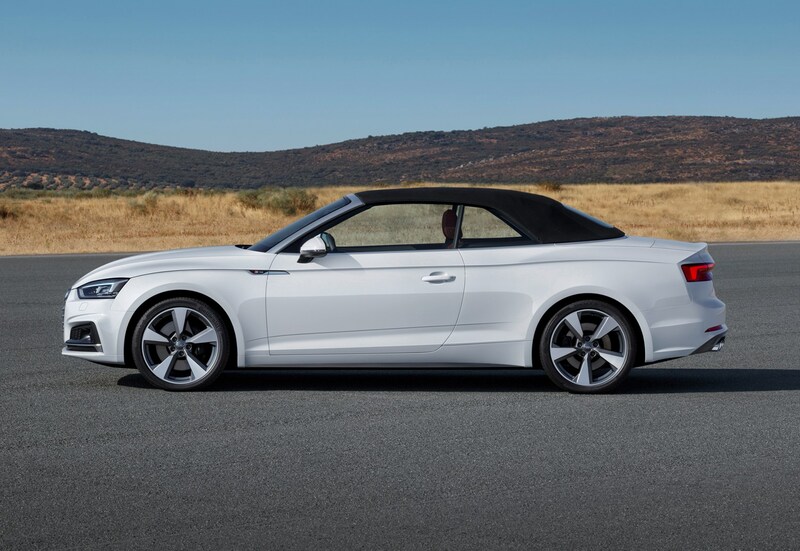 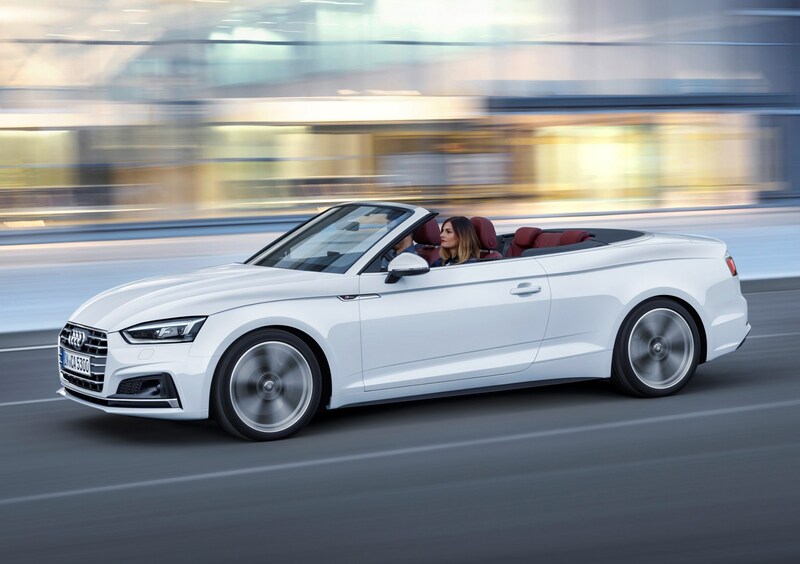 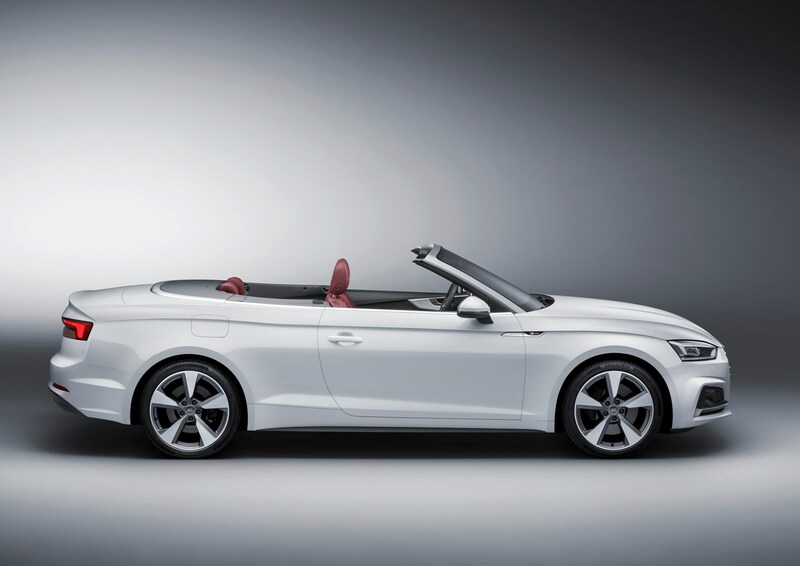 It features a fabric top that has generous amounts of insulation, but it’s clear the A5 Cabriolet’s construction also plays a huge part in isolating wind, road and engine noise – for example, it features thicker windows than the Coupe and Sportback versions.